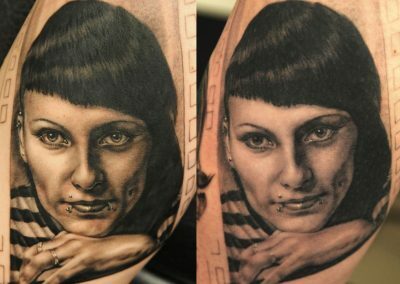 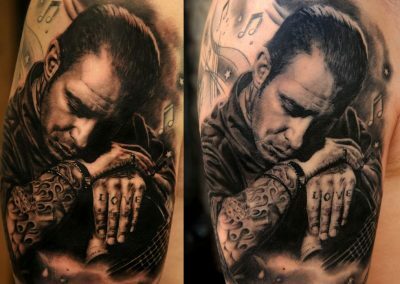 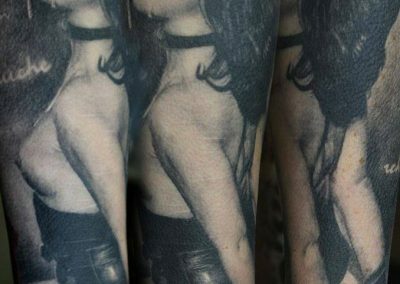 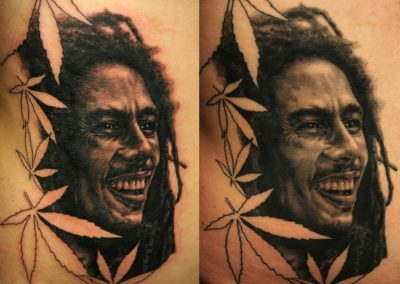 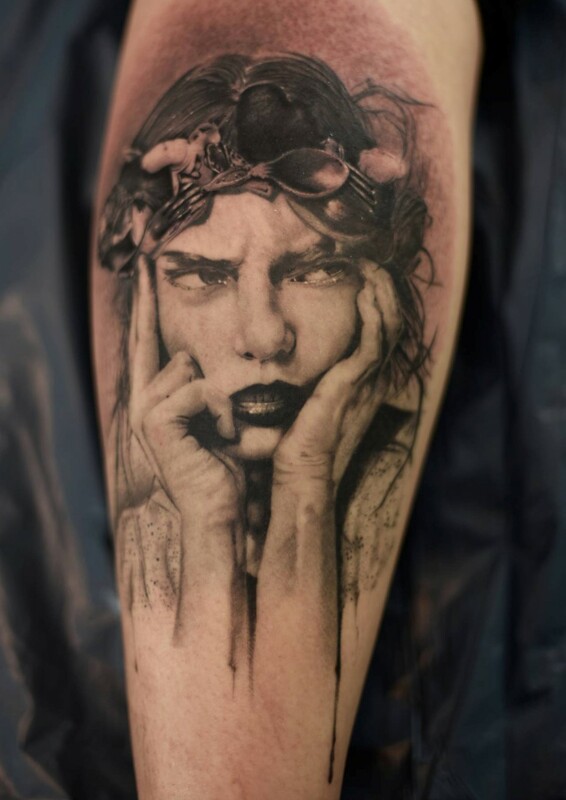 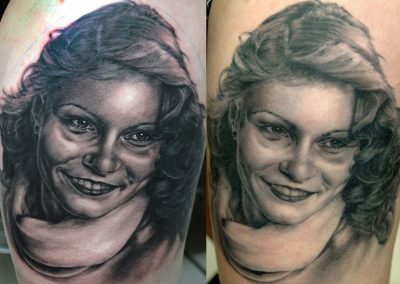 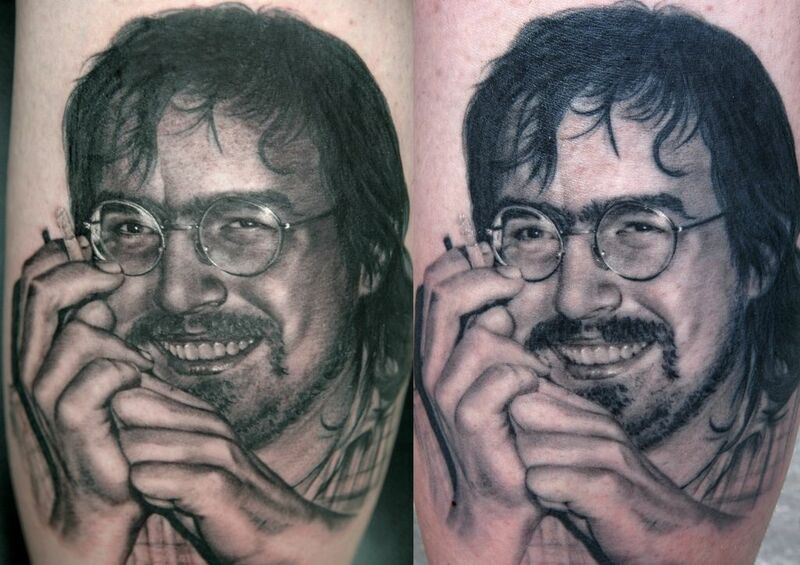 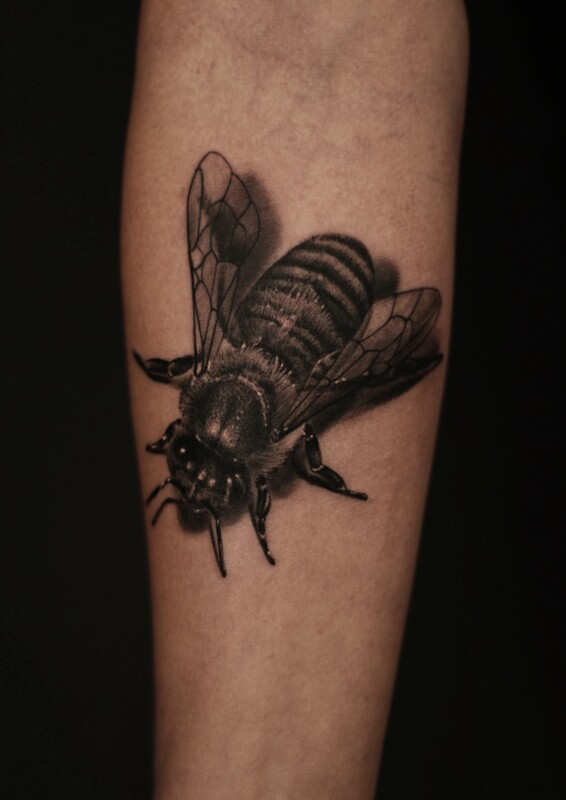 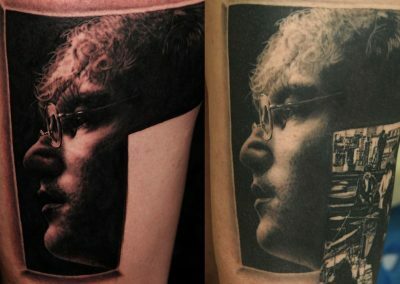 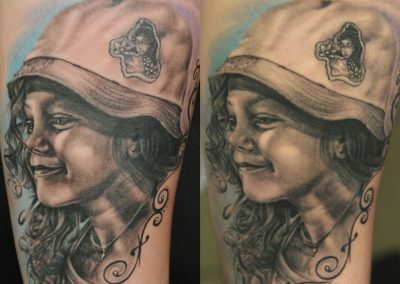 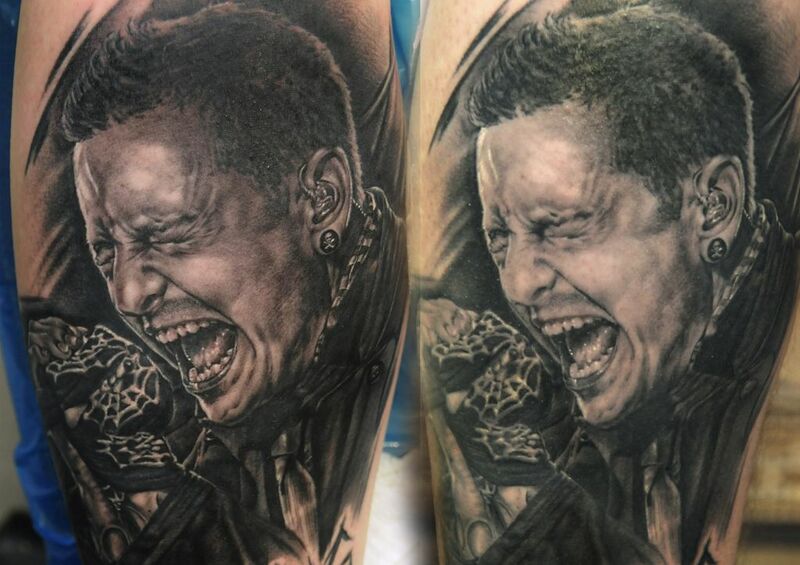 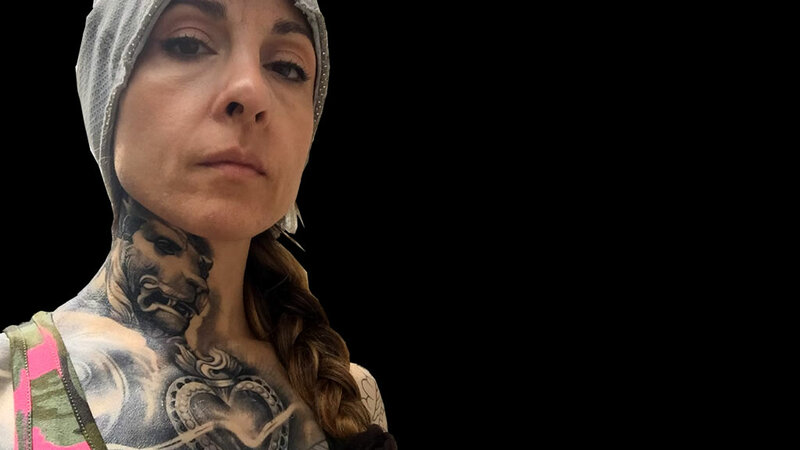 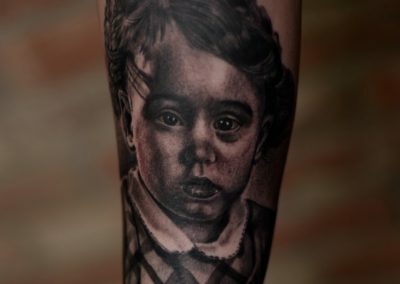 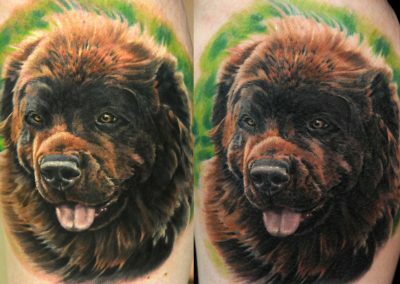 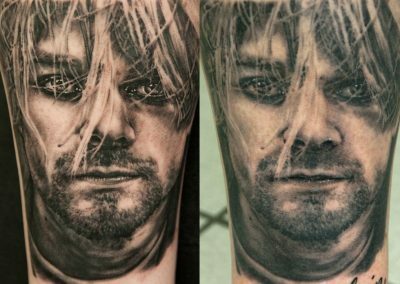 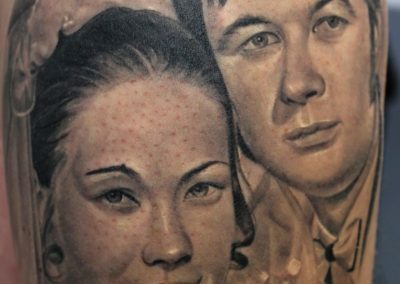 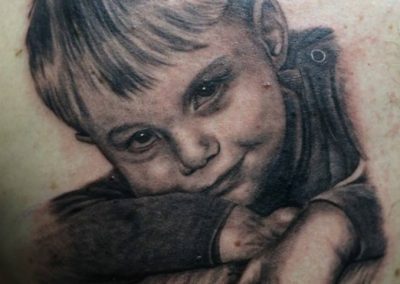 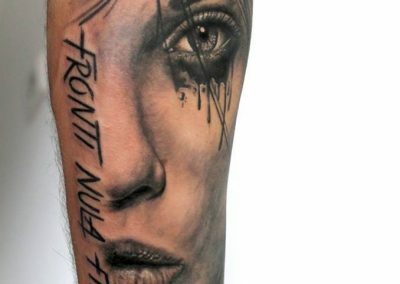 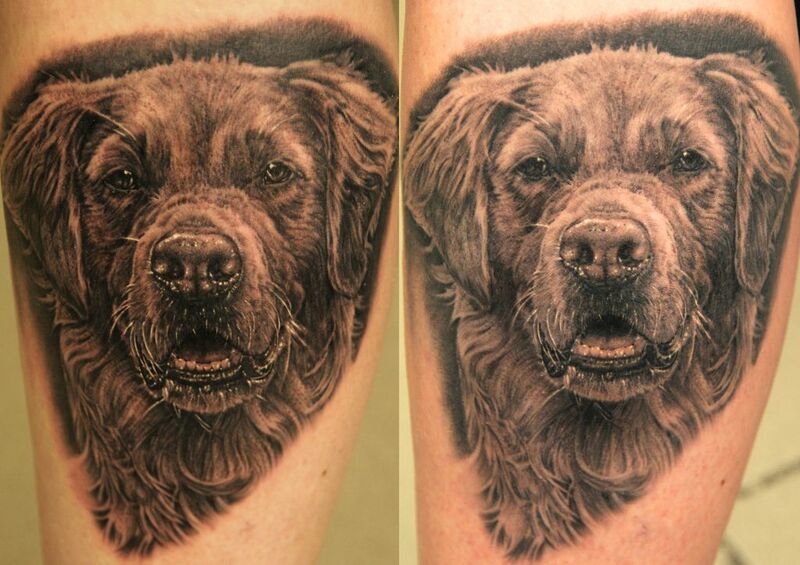 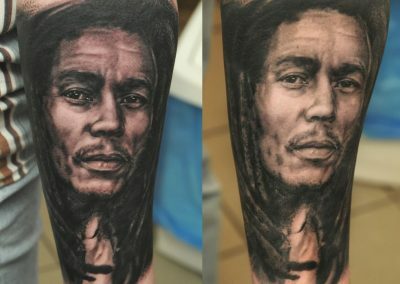 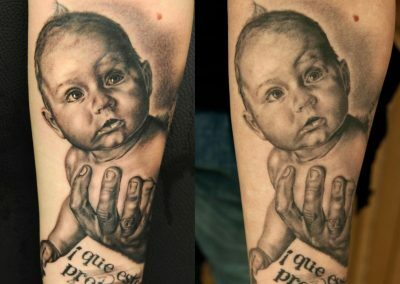 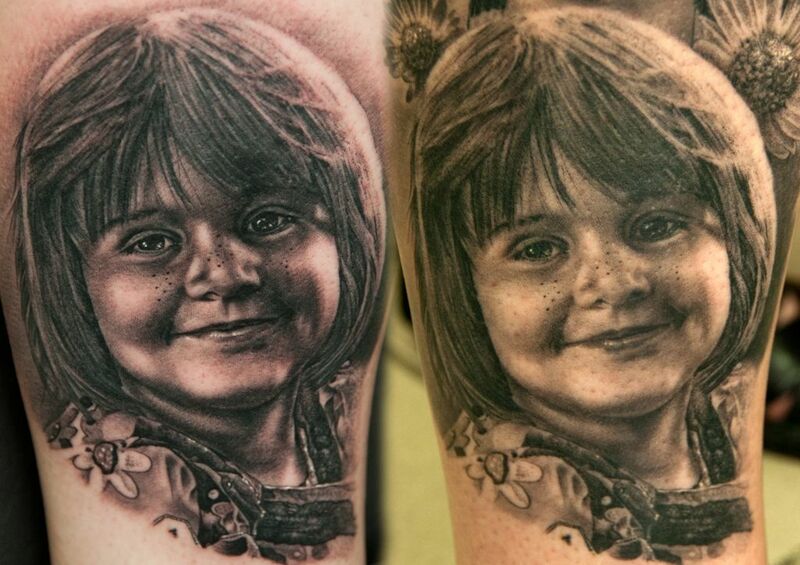 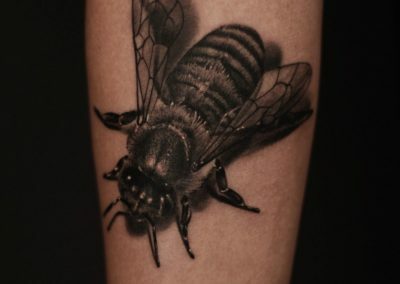 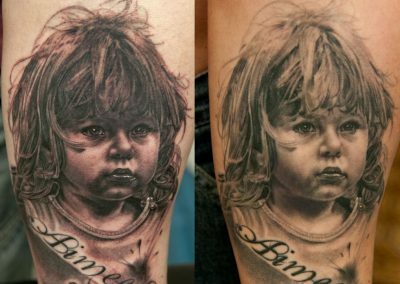 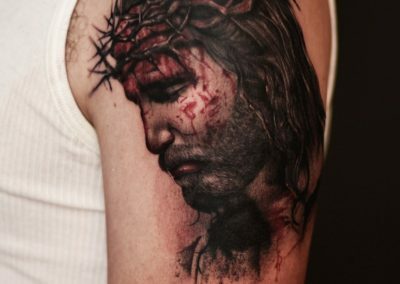 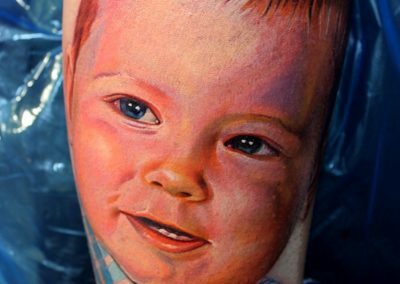 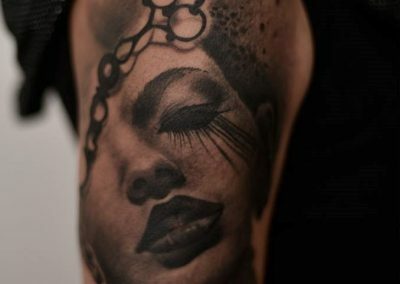 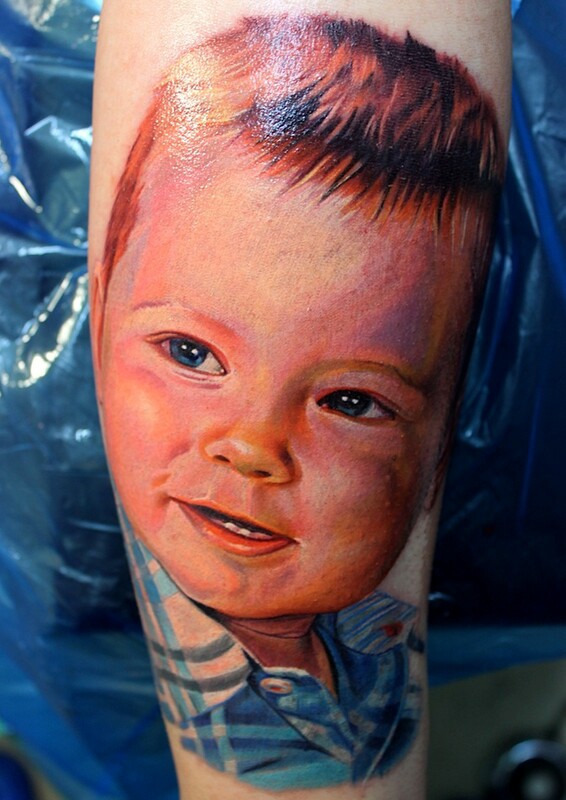 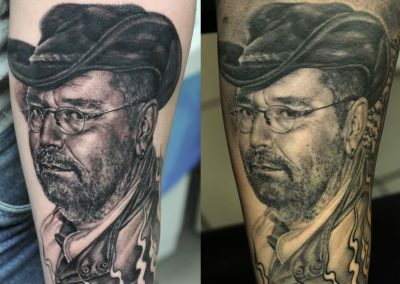 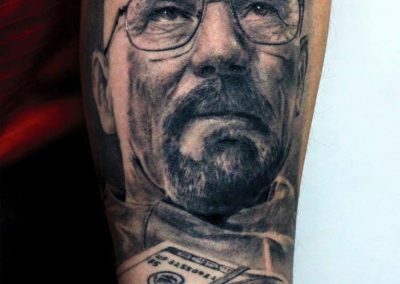 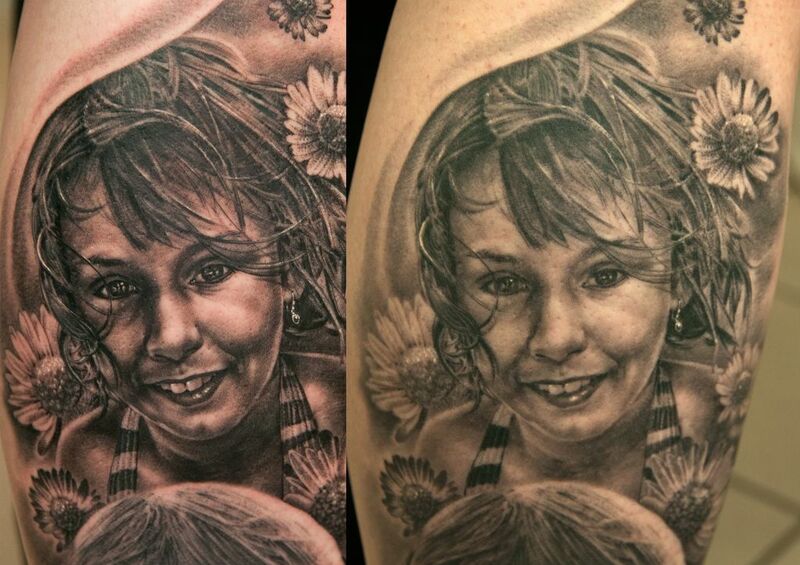 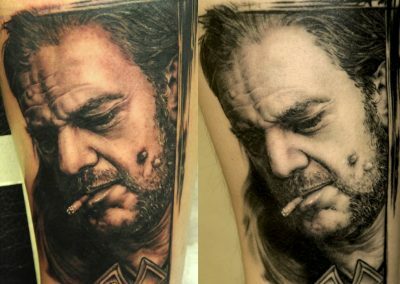 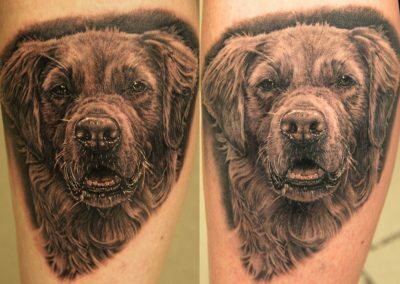 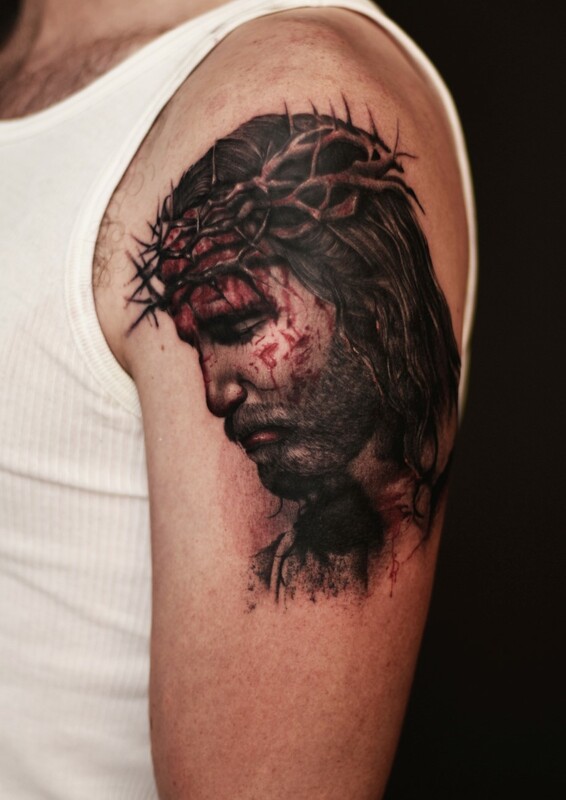 Andy Engel, today known as one of the world’s best photorealist tattoo artists, was born in 1972 in 180 Seelendorf Tiefenstockheim in Bavaria, Germany. 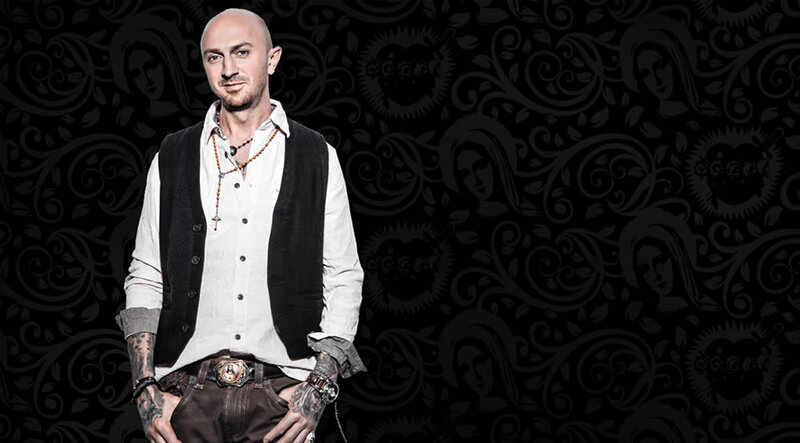 Influenced by the work of his father (a locksmith and forge master craftsman) and the associated values ​​of craftsmanship and creative commitment, Andy has taken these qualities to heart as a guarantee of his creative success. 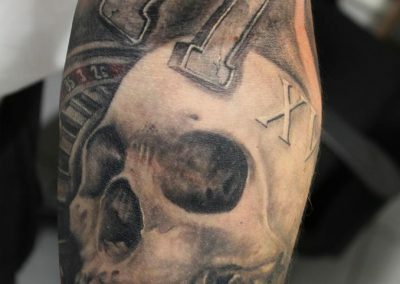 Markus Bremer likes to support the team with his skills in Black & Gray. 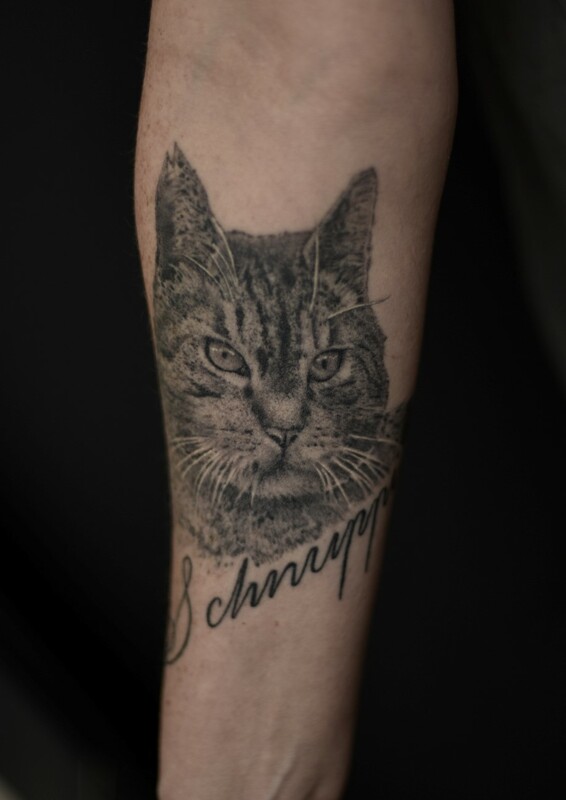 The native of Magdeburg even left his home in Saarland for Andy. 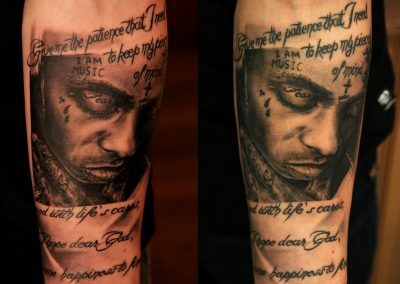 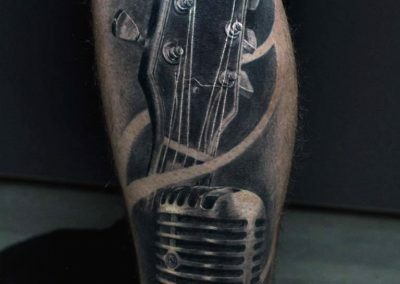 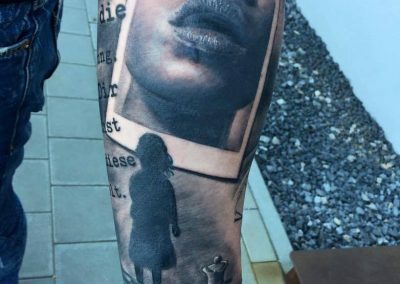 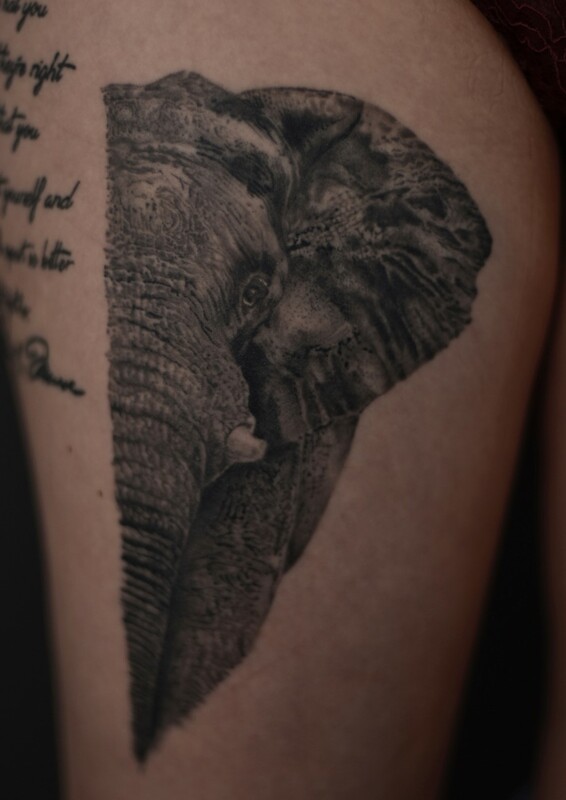 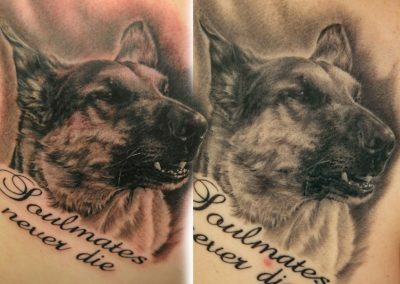 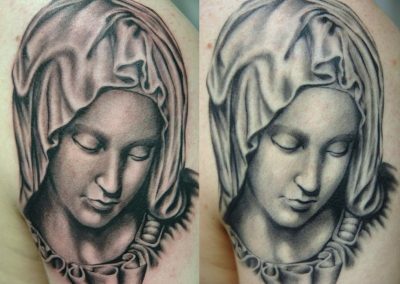 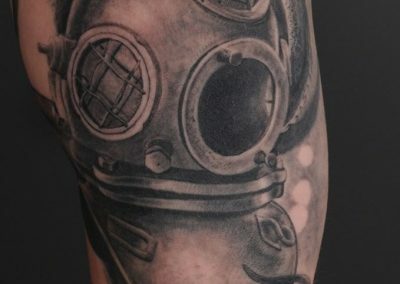 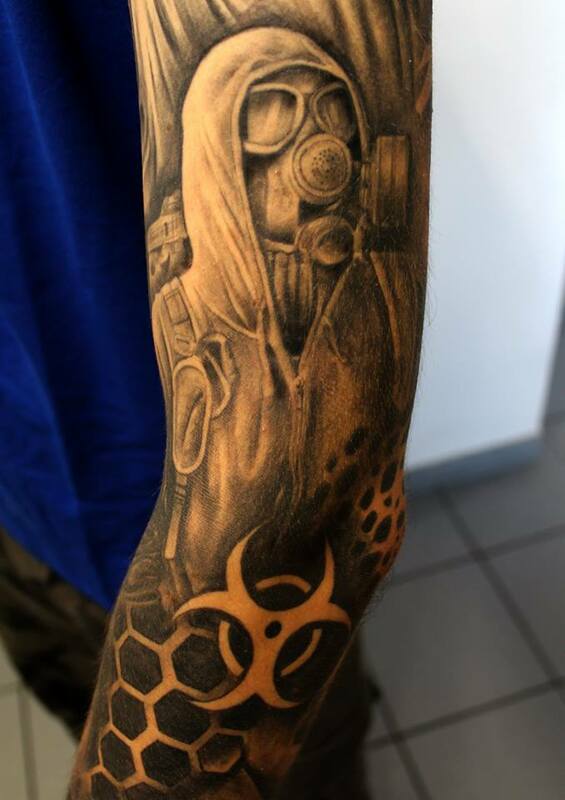 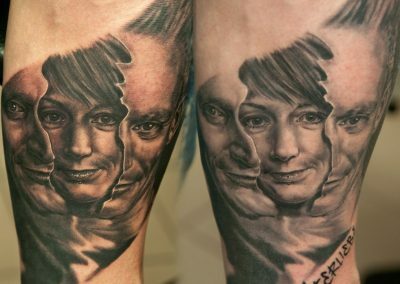 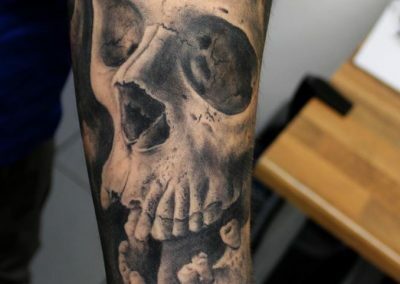 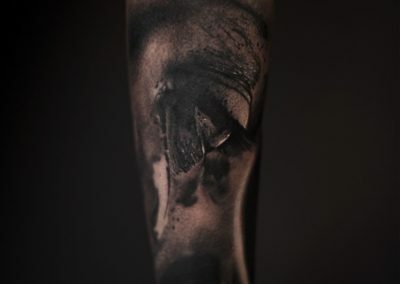 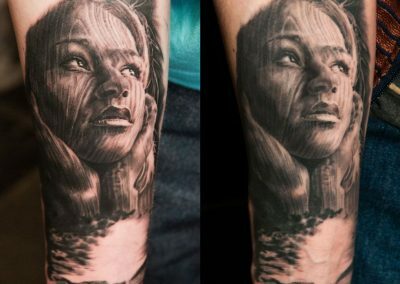 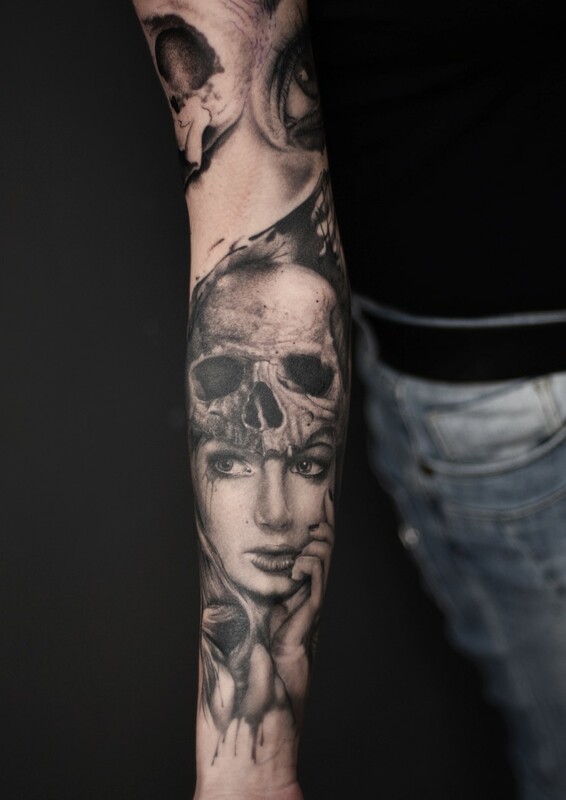 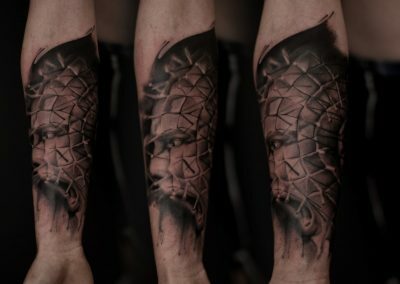 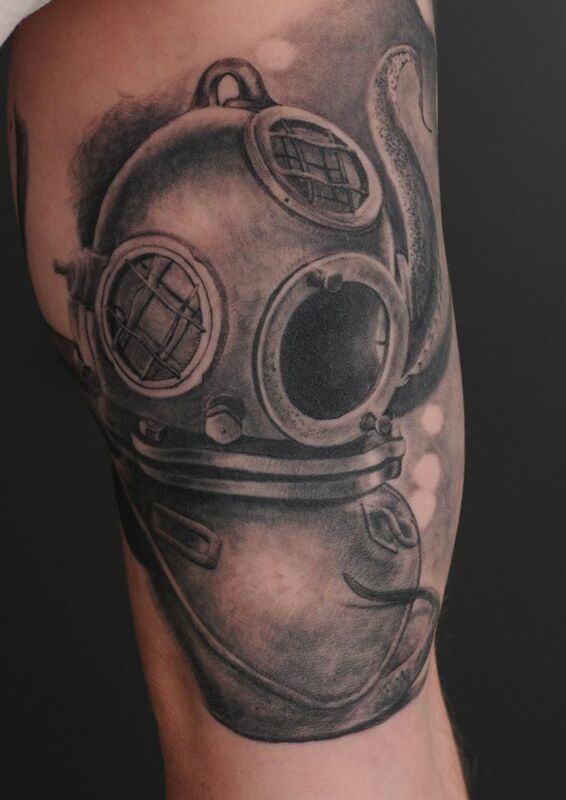 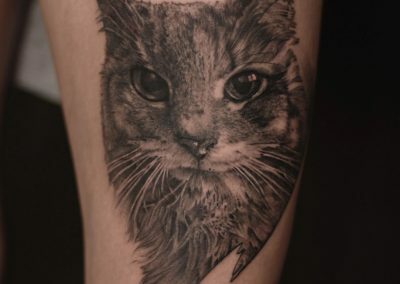 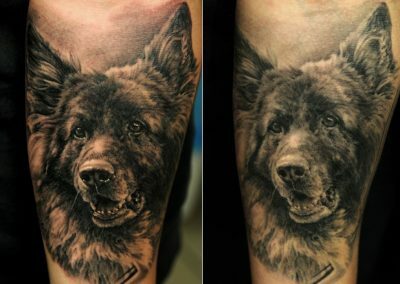 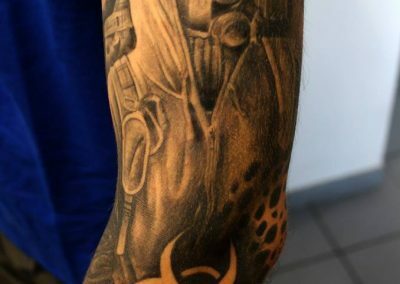 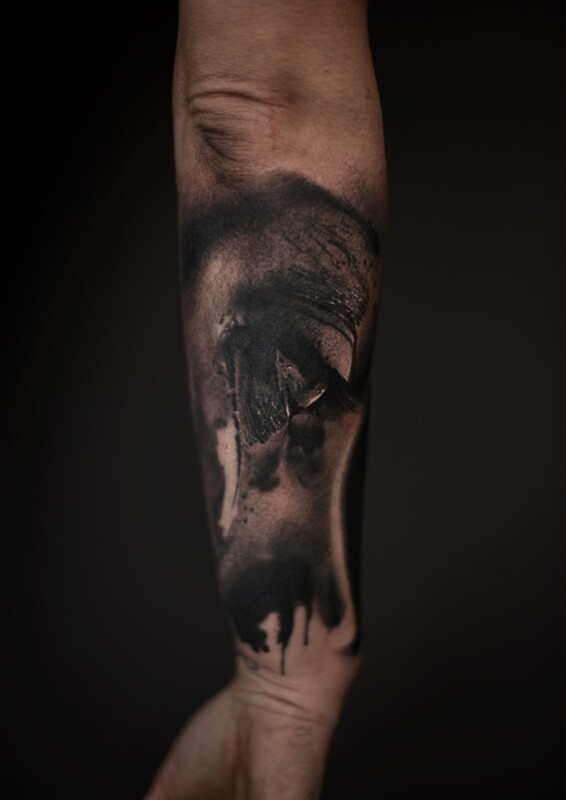 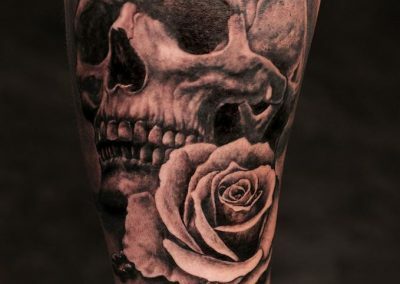 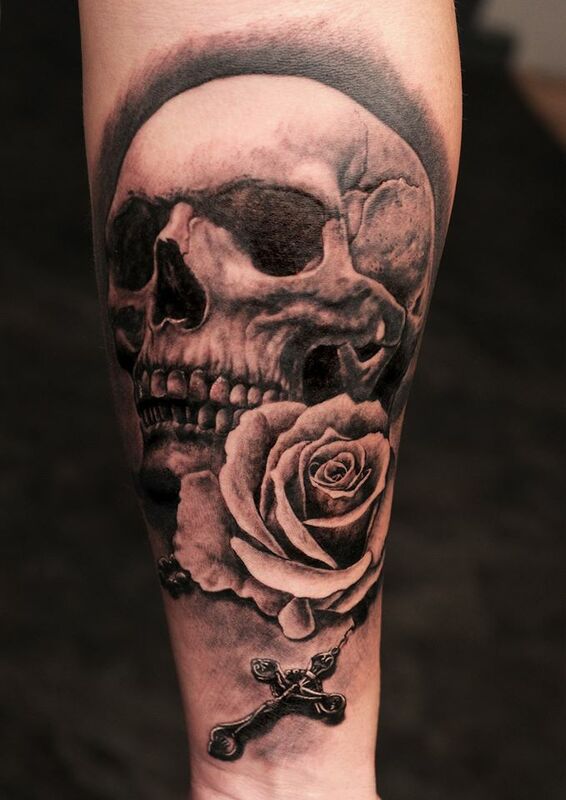 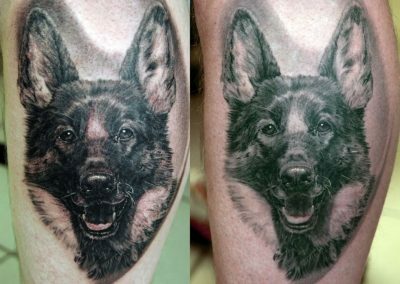 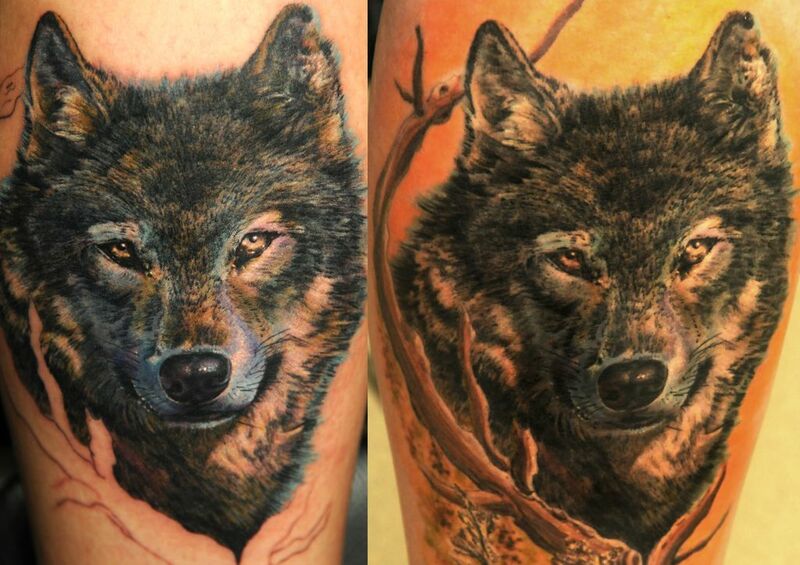 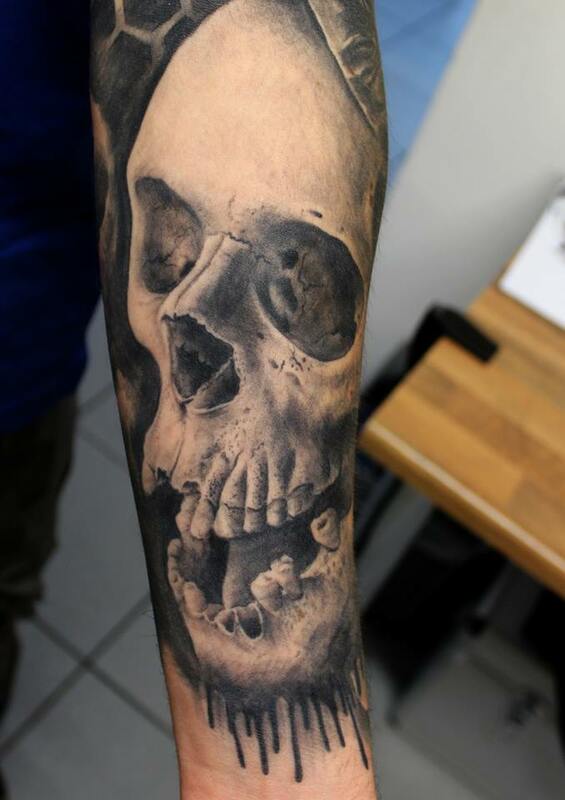 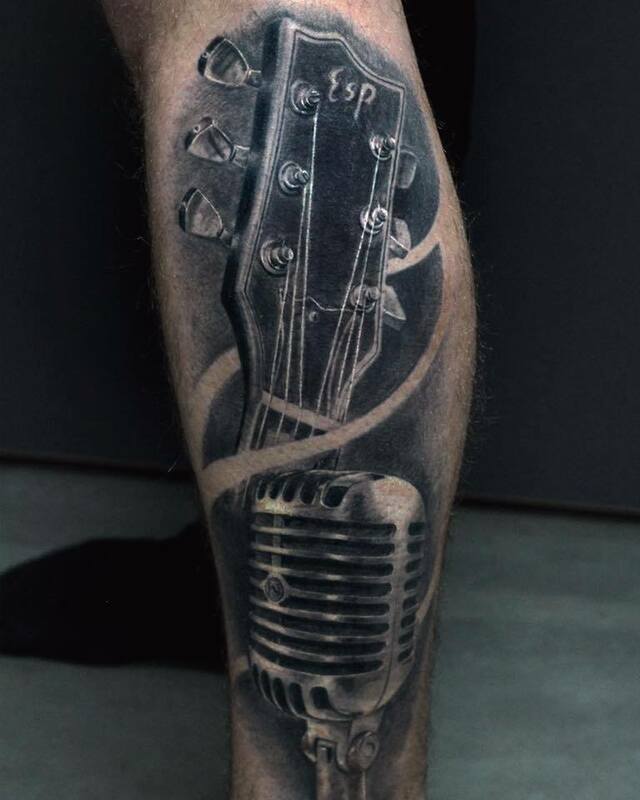 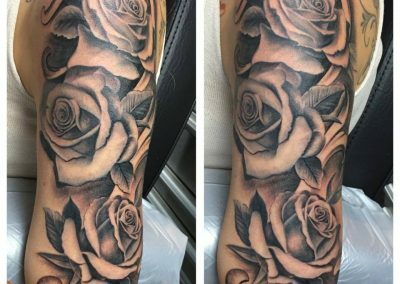 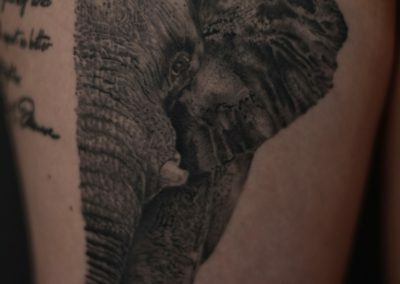 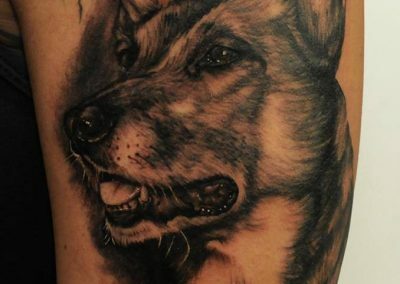 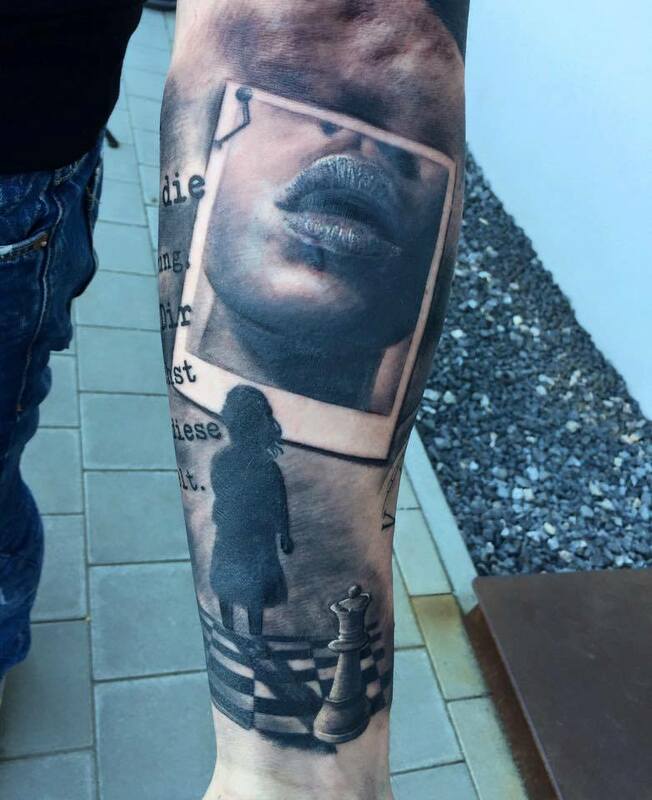 Realistic, Black & Gray and also a Trashtattoo – Markus knows what he wants! 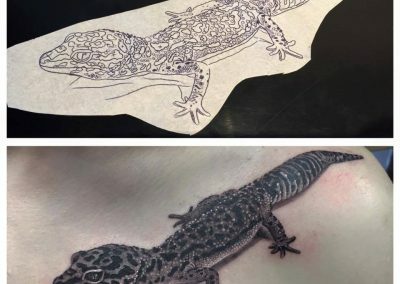 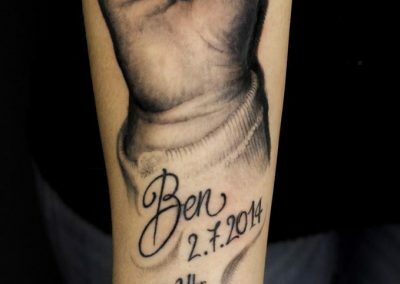 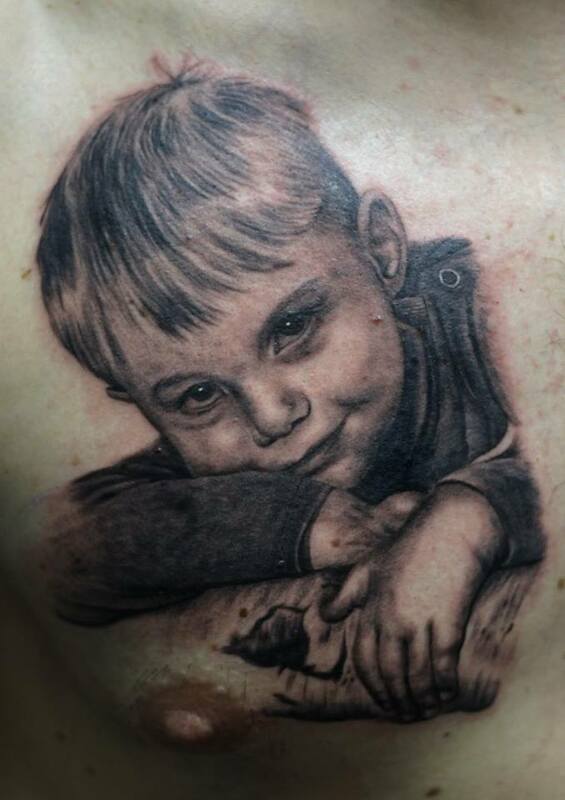 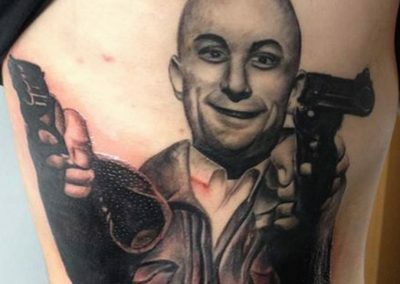 Since his first own tattoo, it was clear to him that he would like to learn to tattoo later. 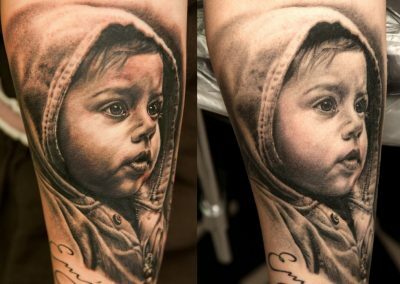 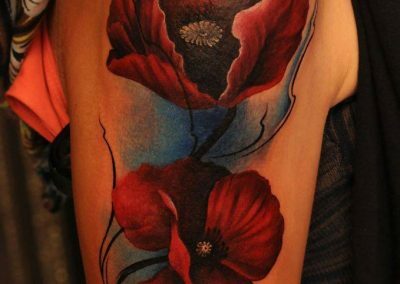 The first tattooing attempts were started by the trained electrician, who liked drawing even as a child, by the way, on his own skin. Since 2011 Markus tattooed now. 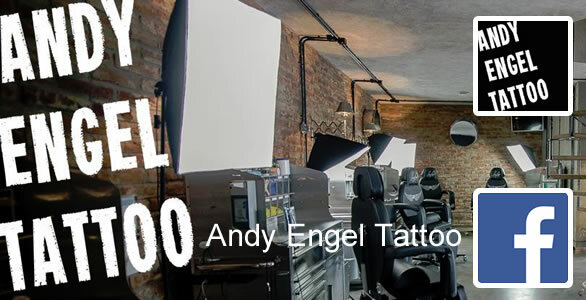 Ever since the release of Andy’s first seminar DVD for tattoo artists, he has wanted to expand his skills into Andy’s studio. 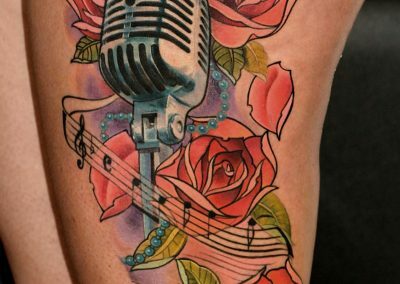 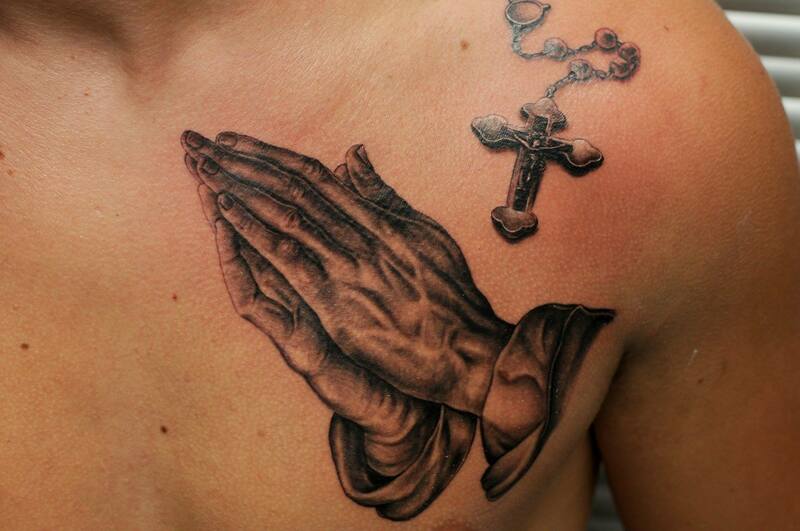 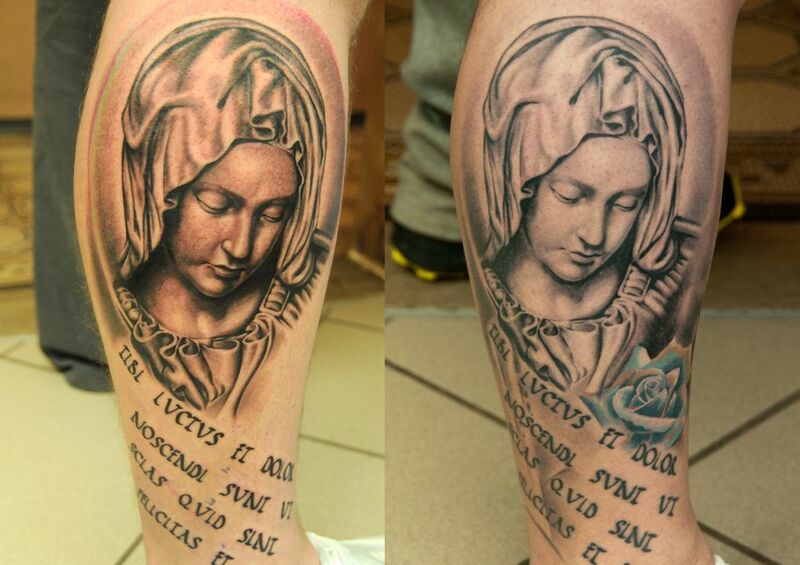 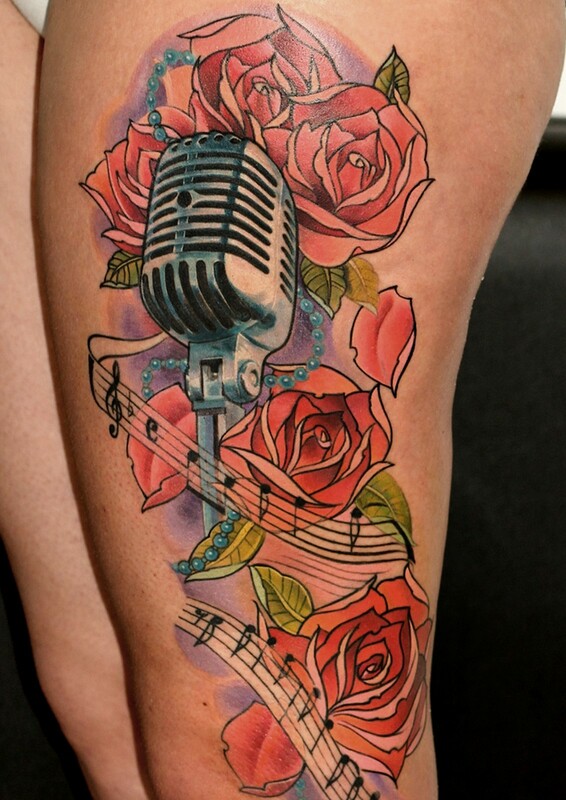 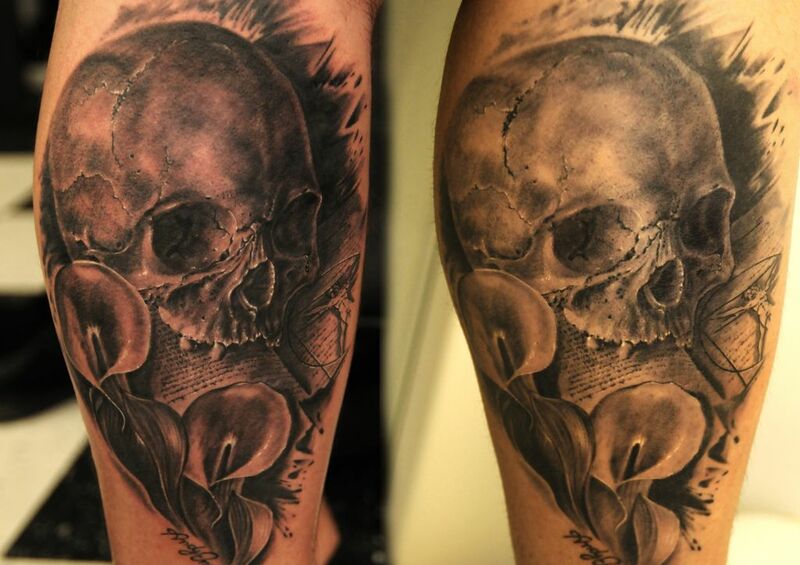 If you would like to have a new tattoo, feel free to contact us in the studio and make an appointment with Markus. 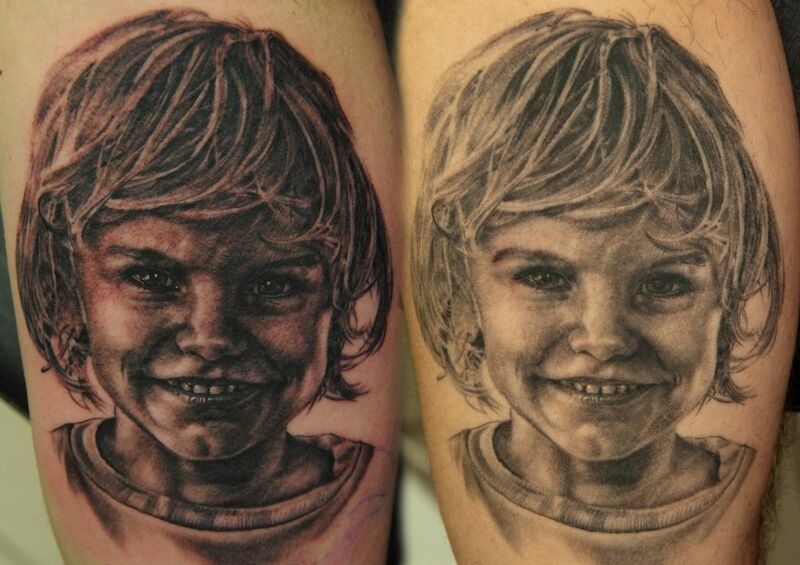 Lajos: All styles, whether black & gray, oldschool, newschool, portraits and biomechanics – Lajos just loves everything! 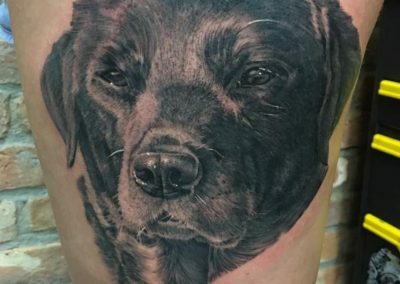 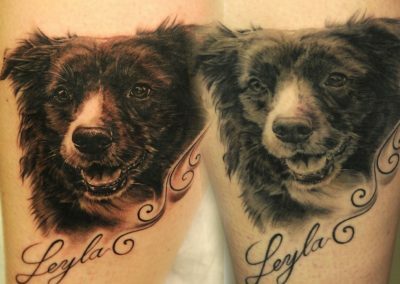 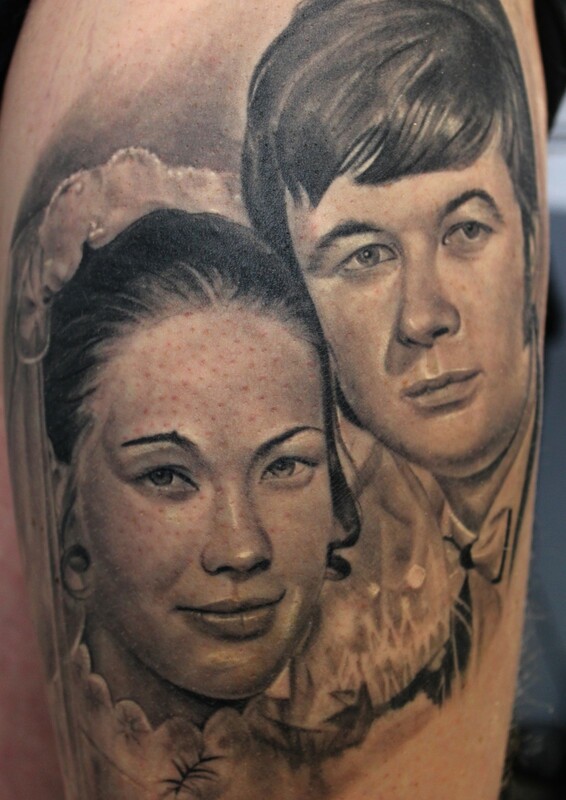 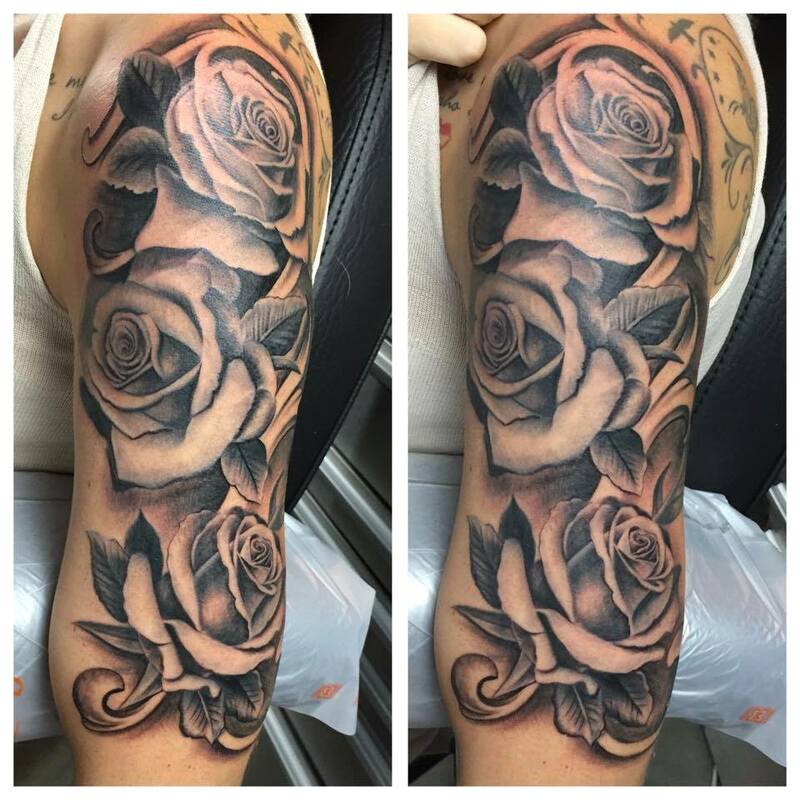 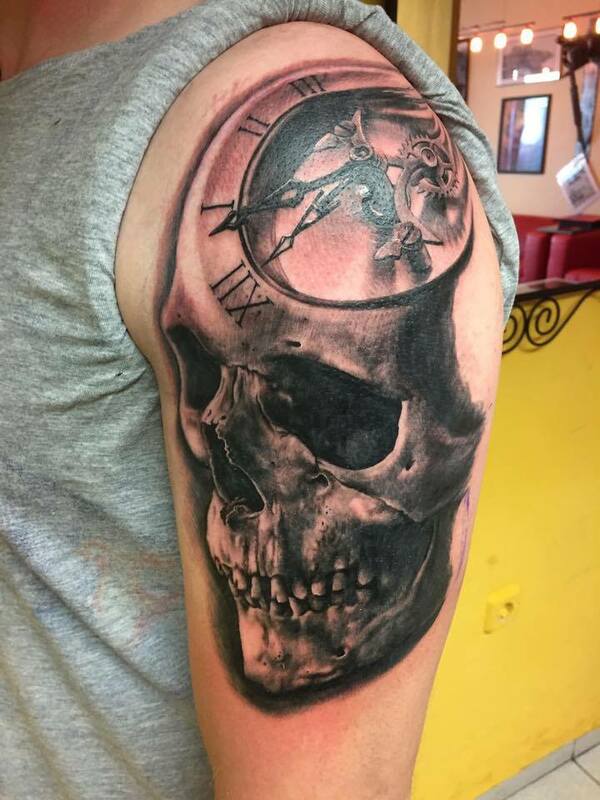 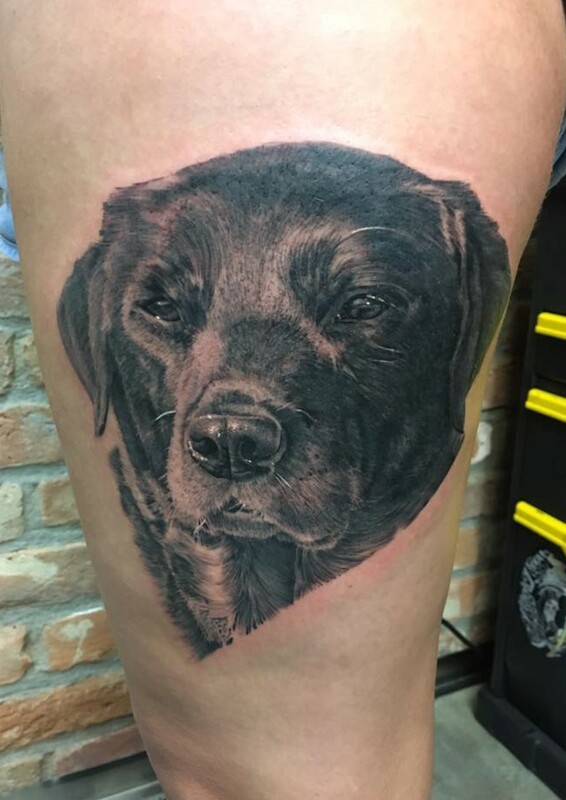 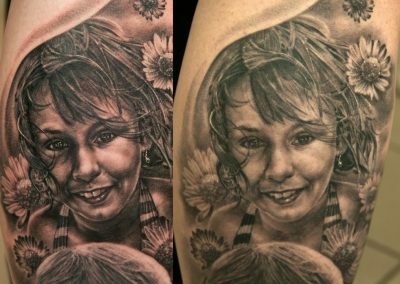 Since 2008, Lajos has regularly been a guest at Andy Engel Tattoo for tattooing to expand his skills. 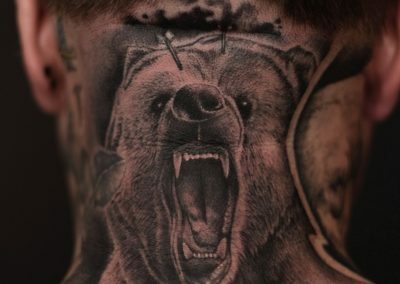 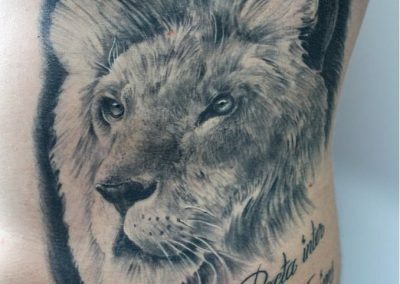 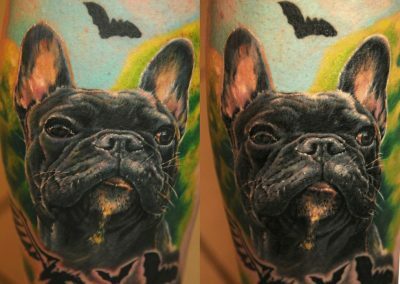 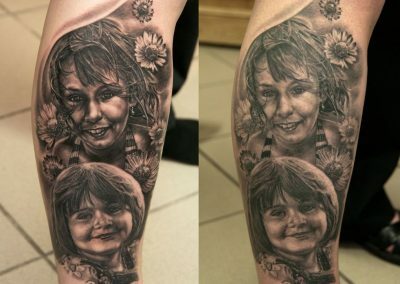 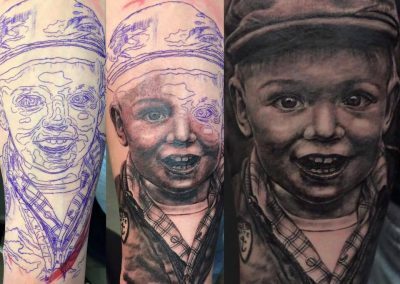 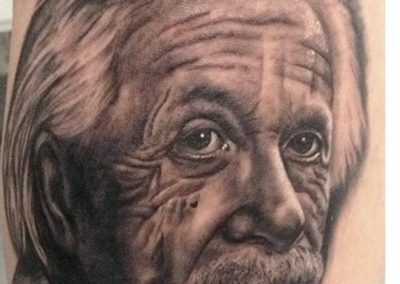 Lajos, who already liked to draw in his childhood, has been tattooing for 15 years now, including more than 14 years in Germany. 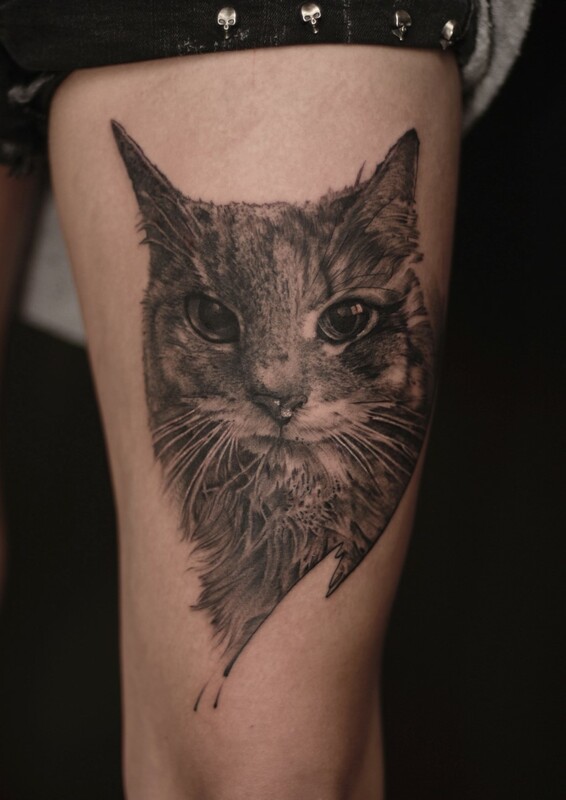 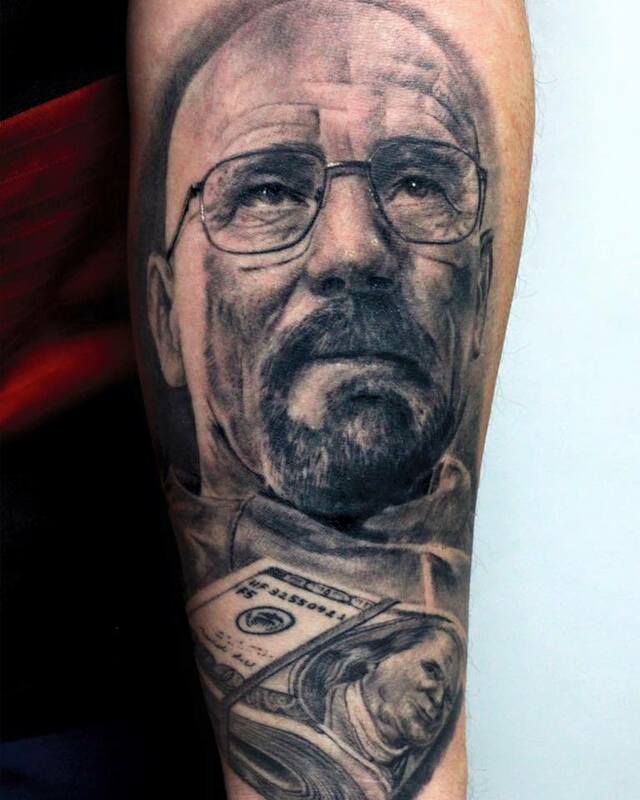 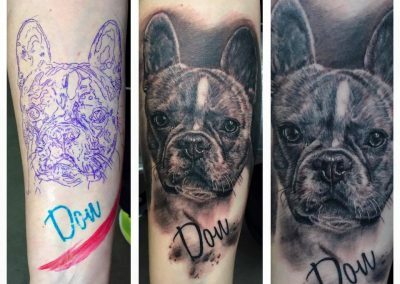 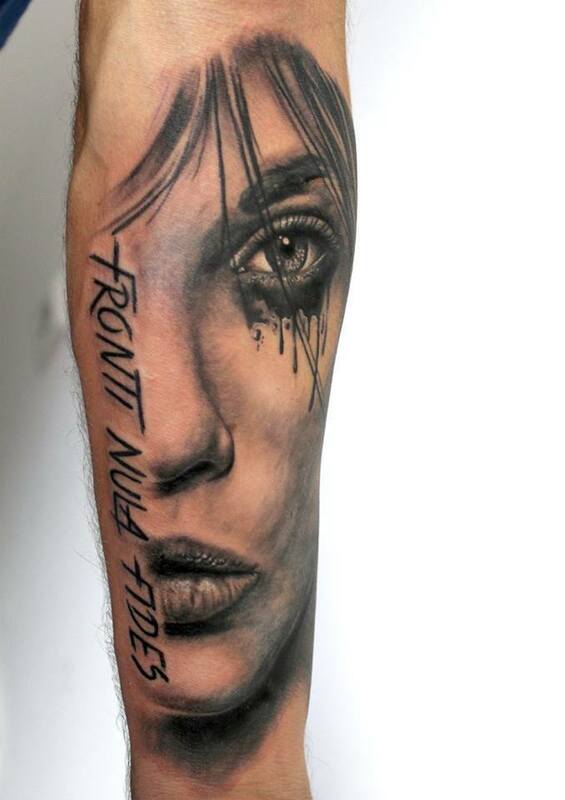 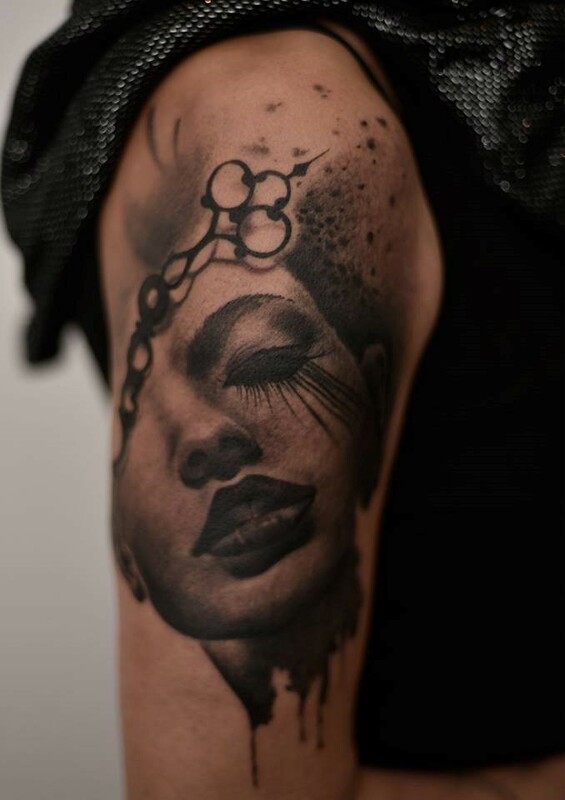 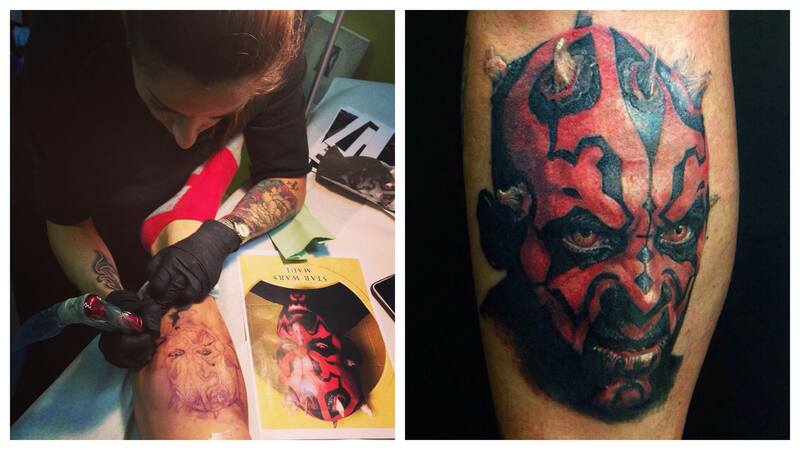 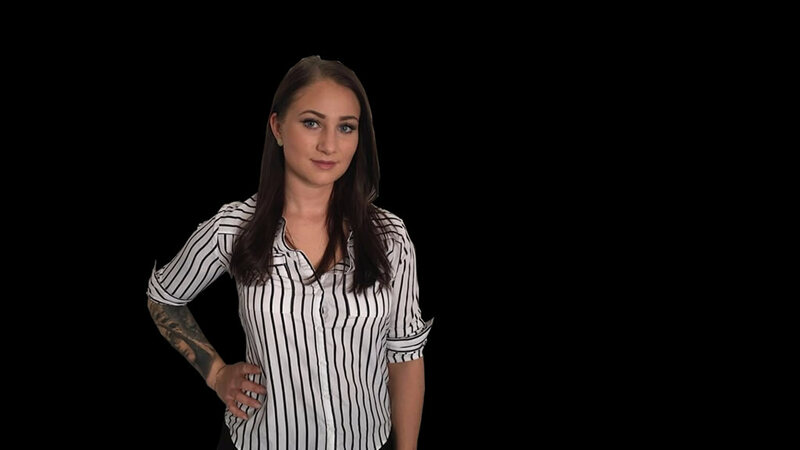 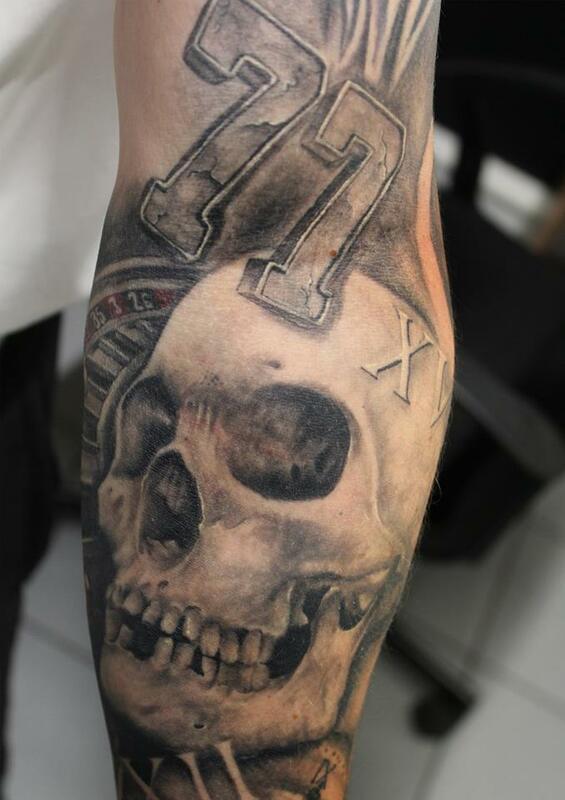 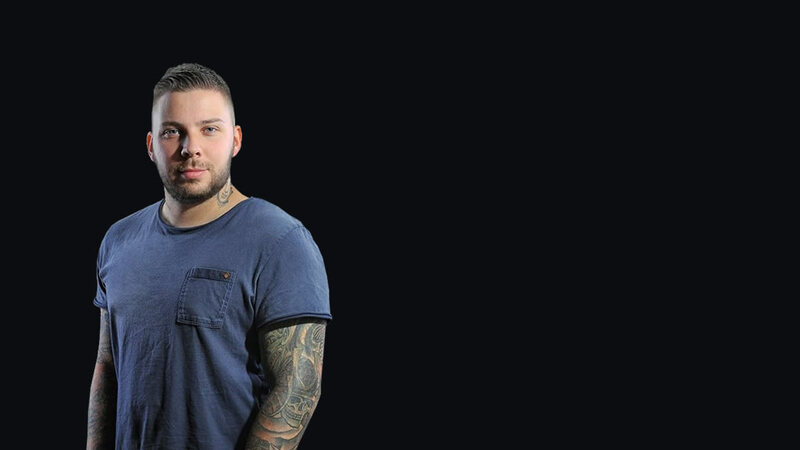 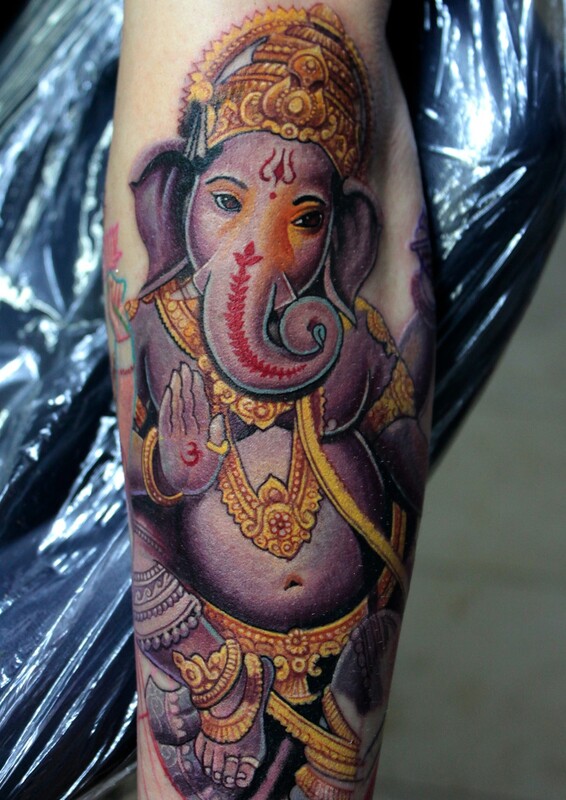 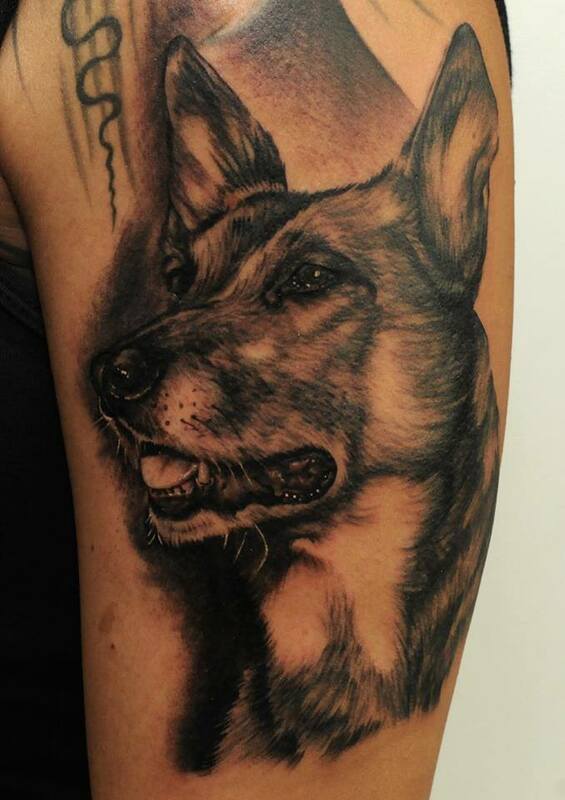 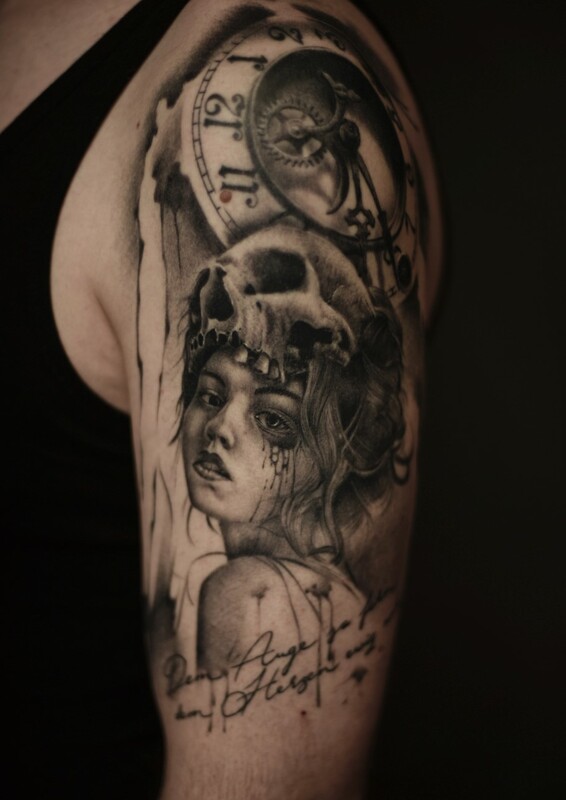 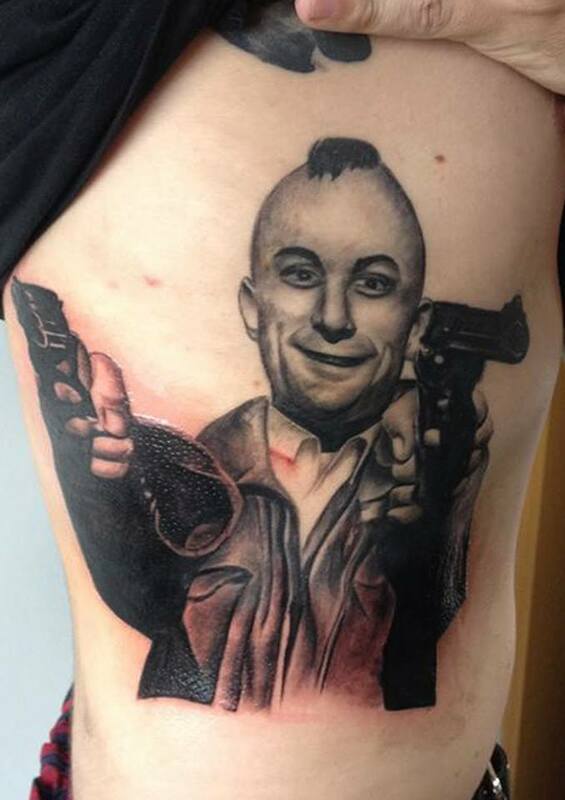 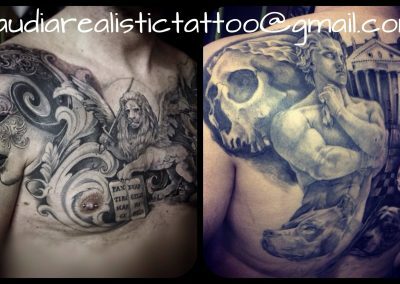 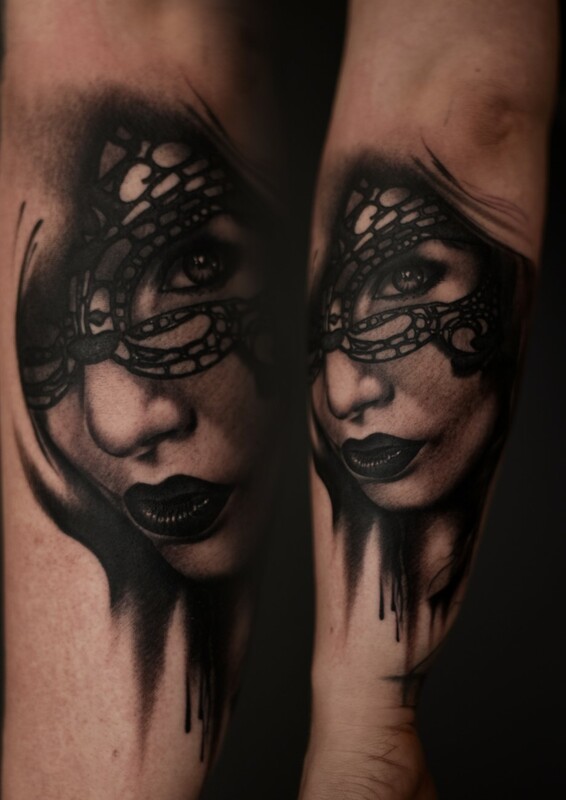 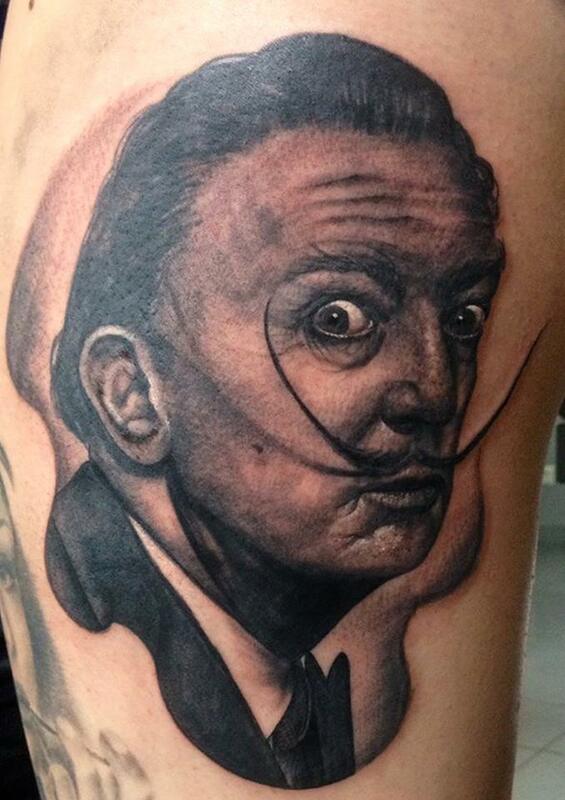 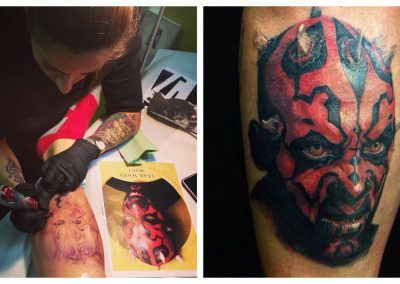 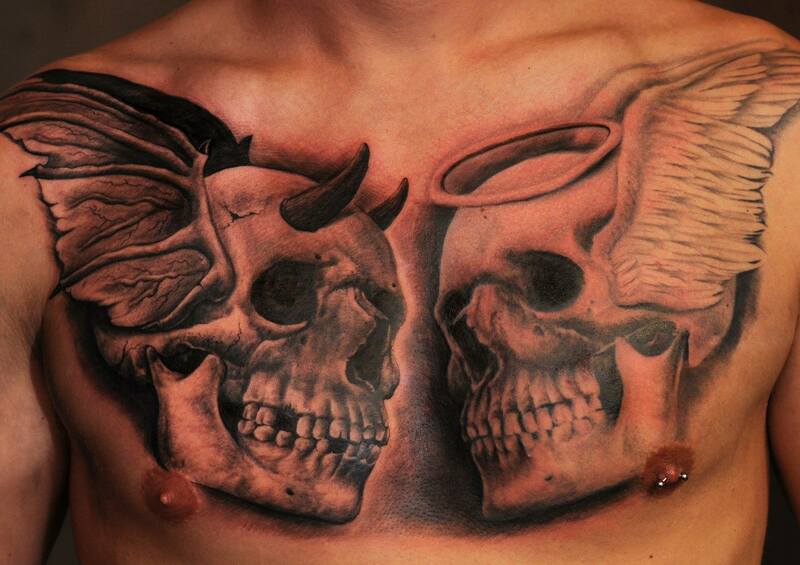 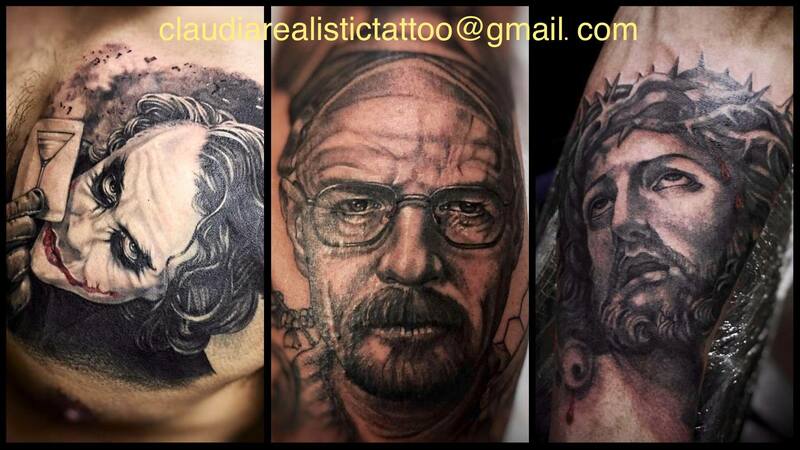 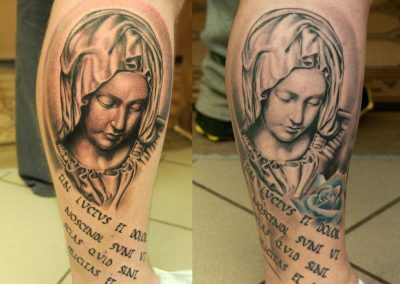 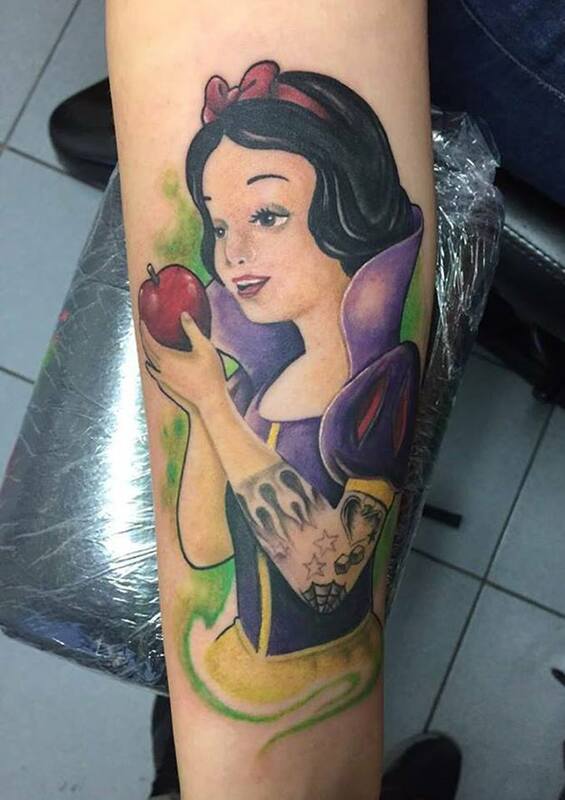 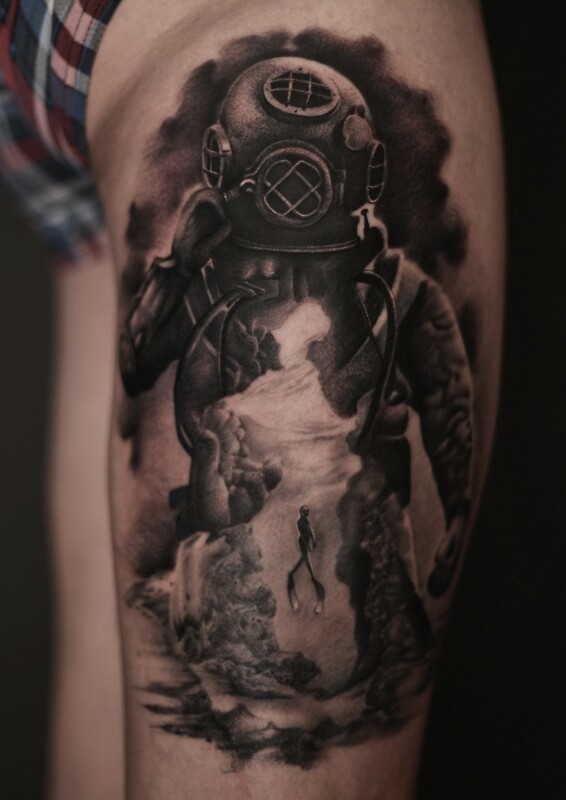 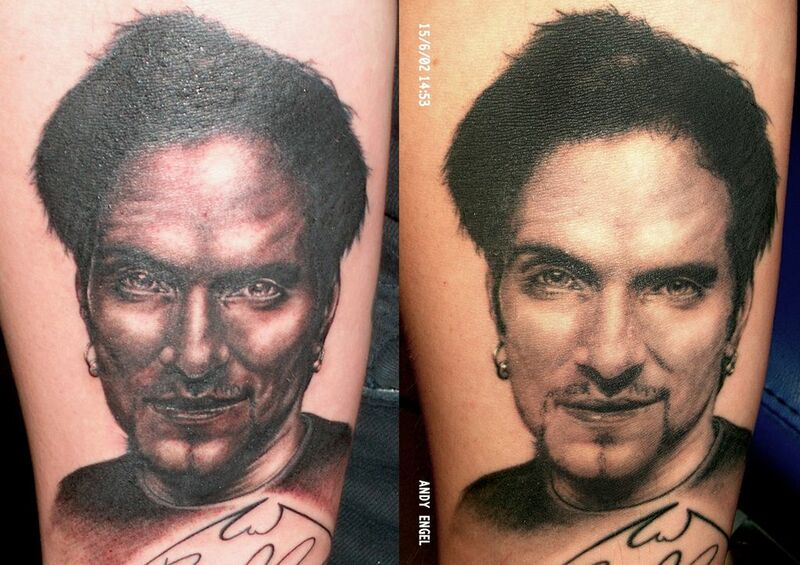 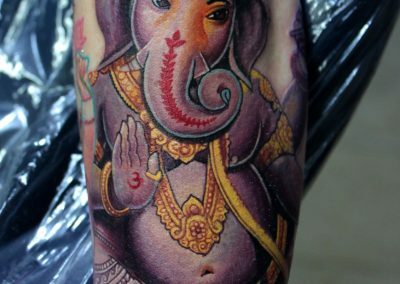 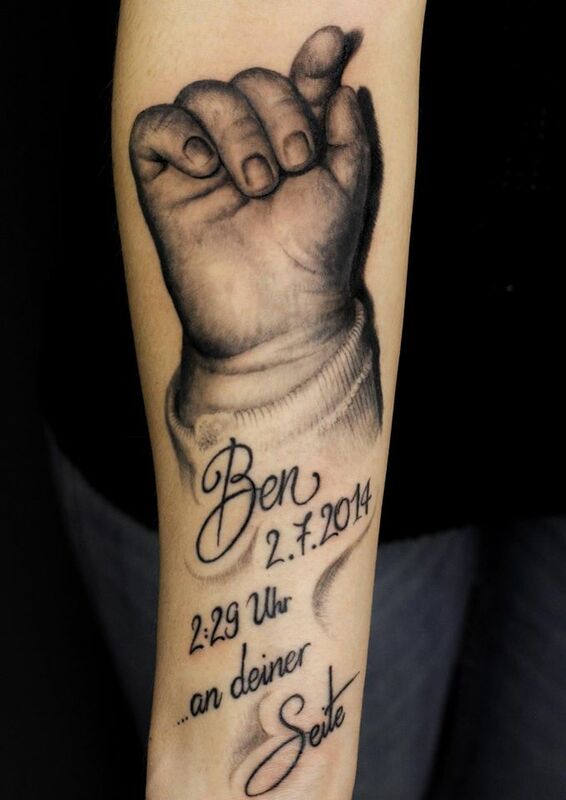 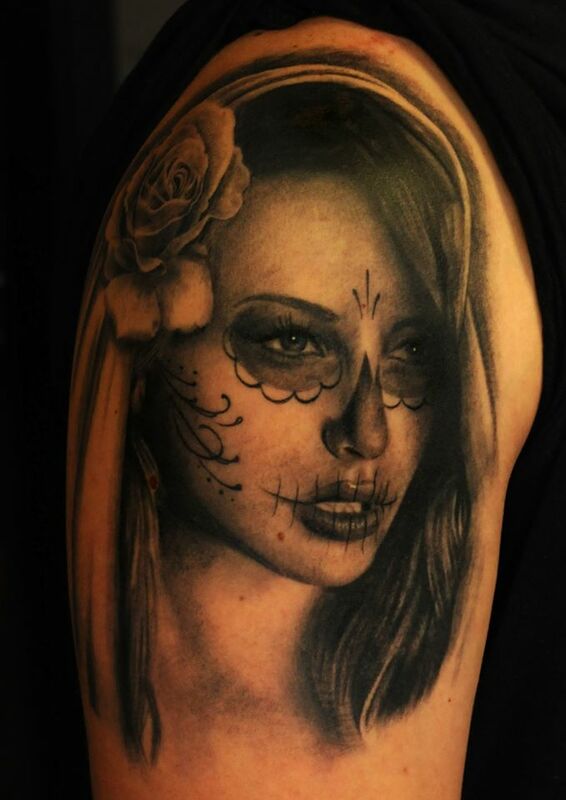 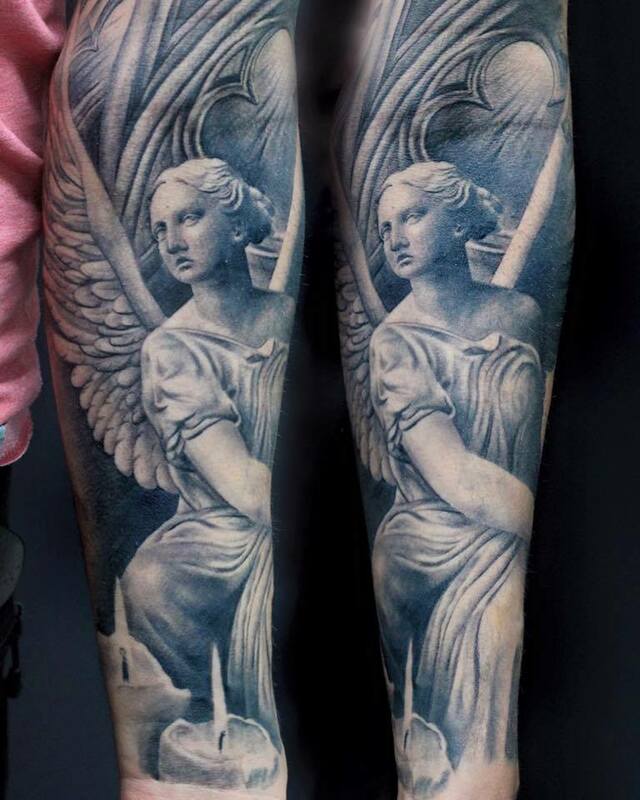 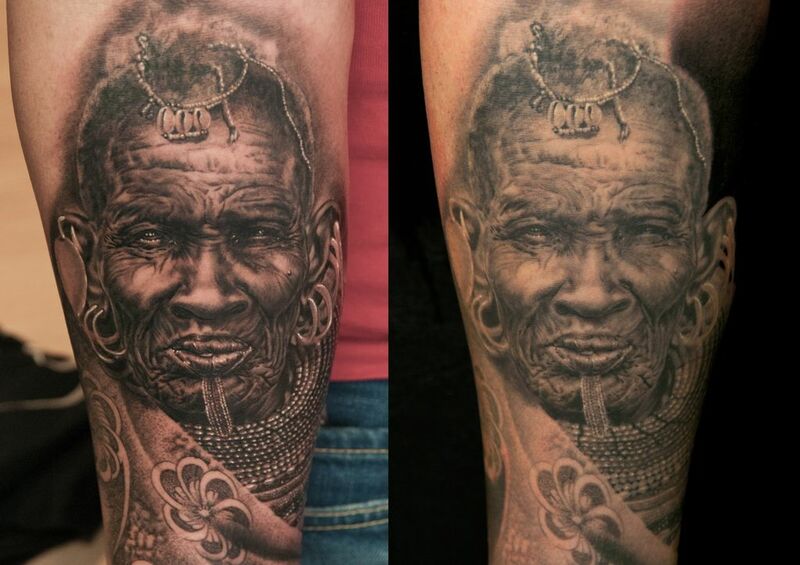 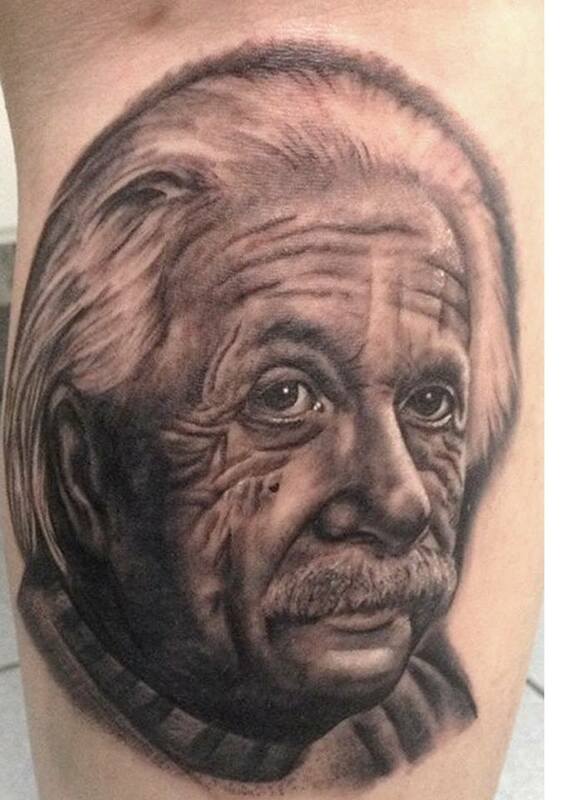 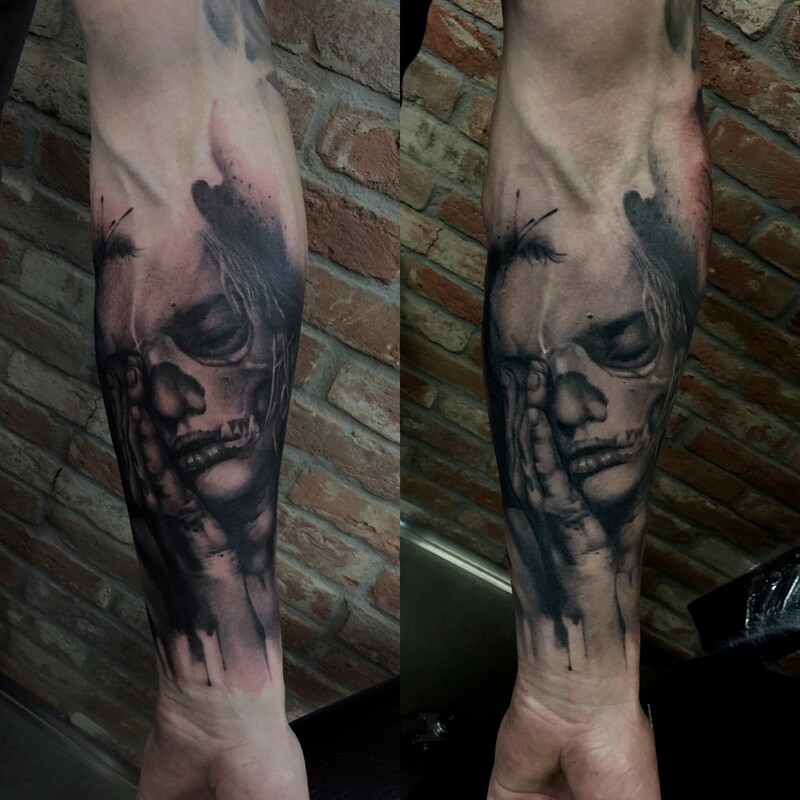 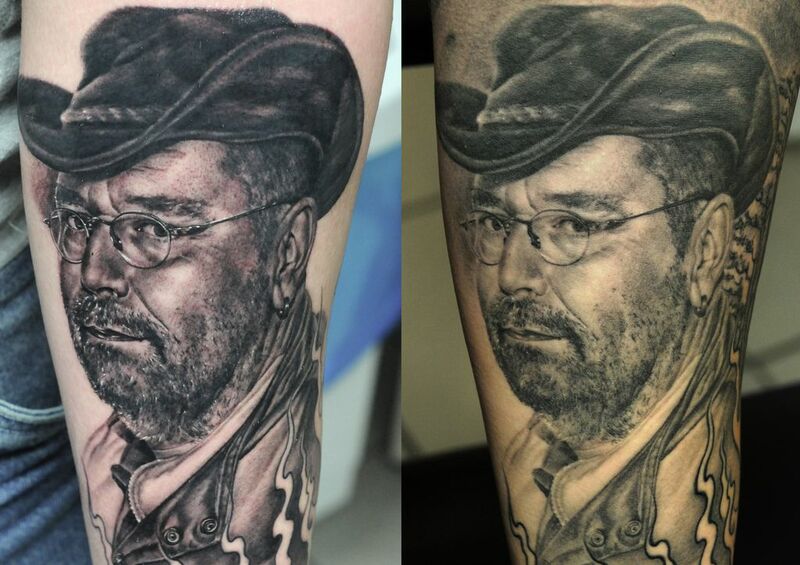 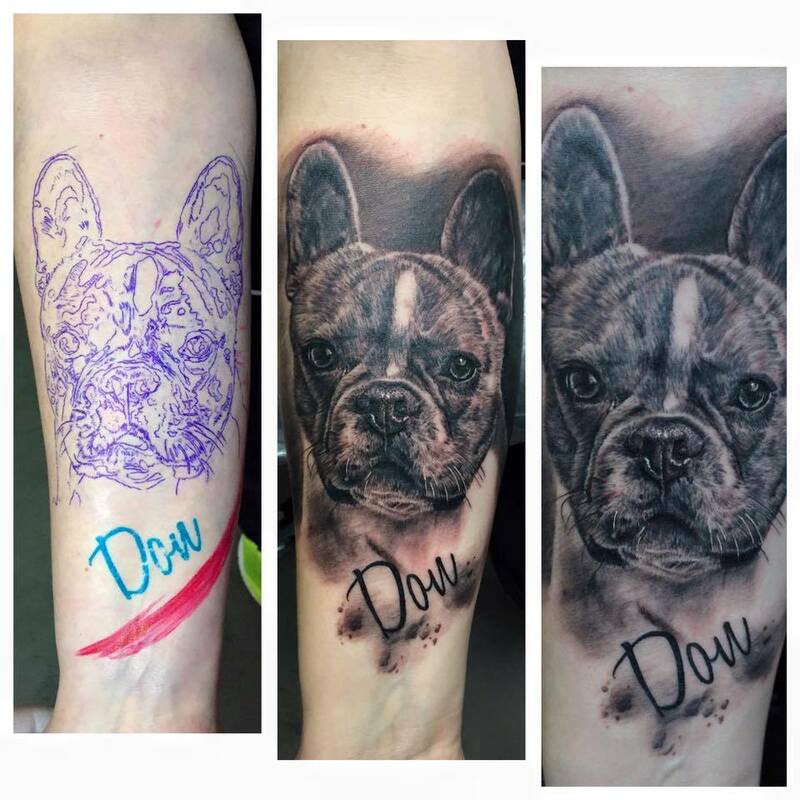 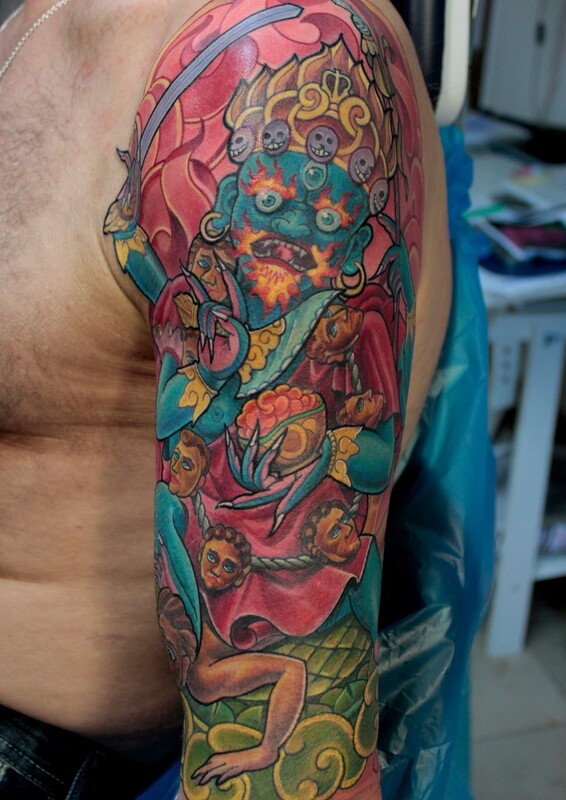 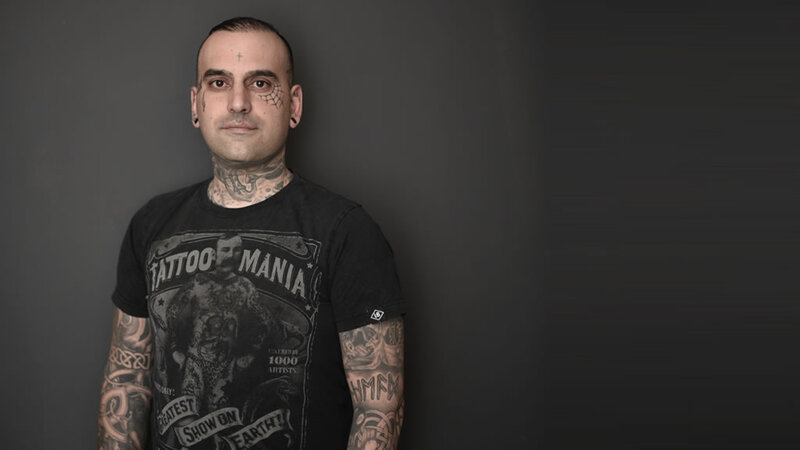 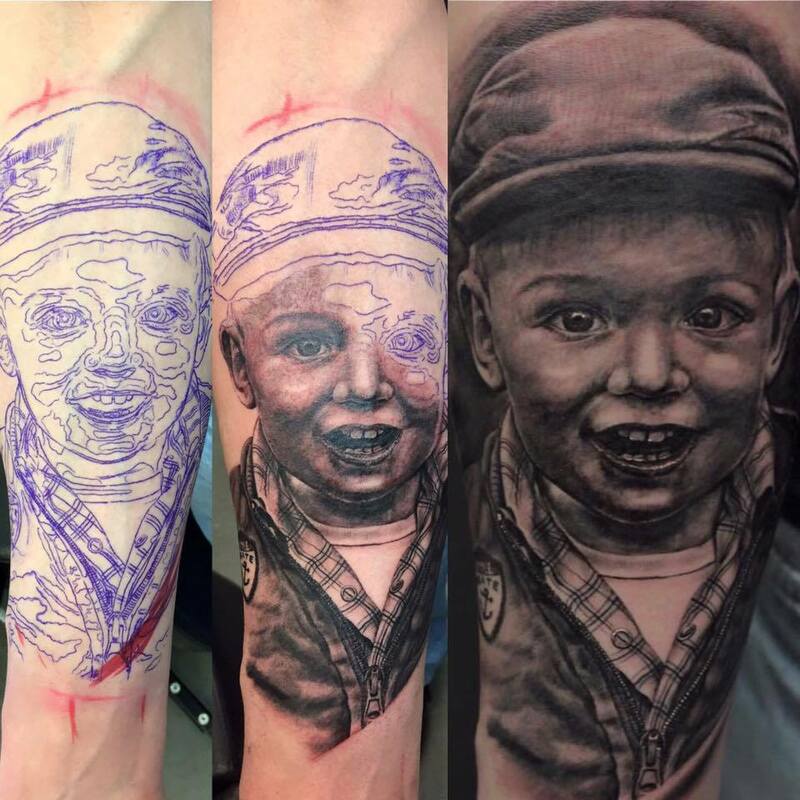 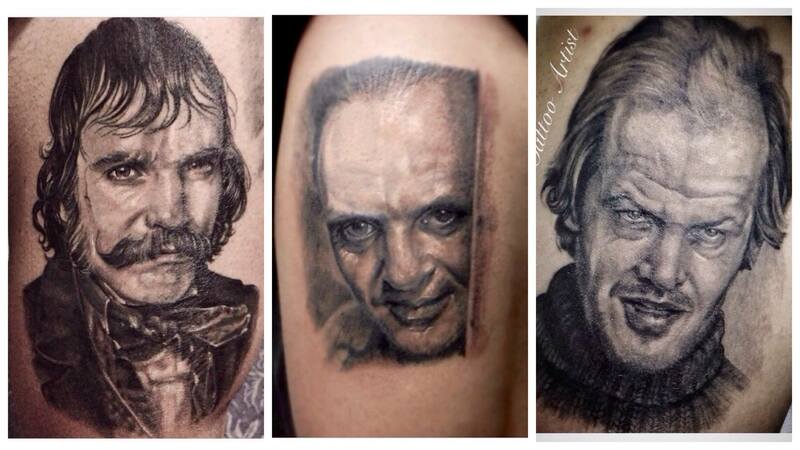 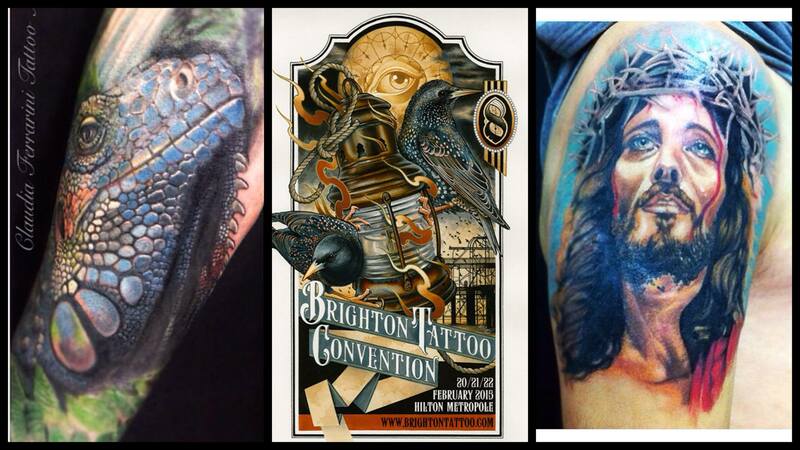 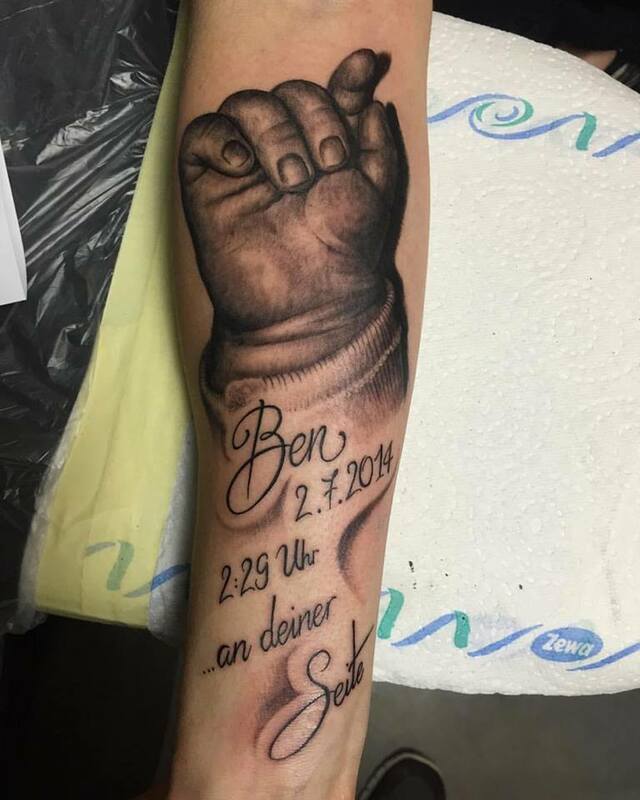 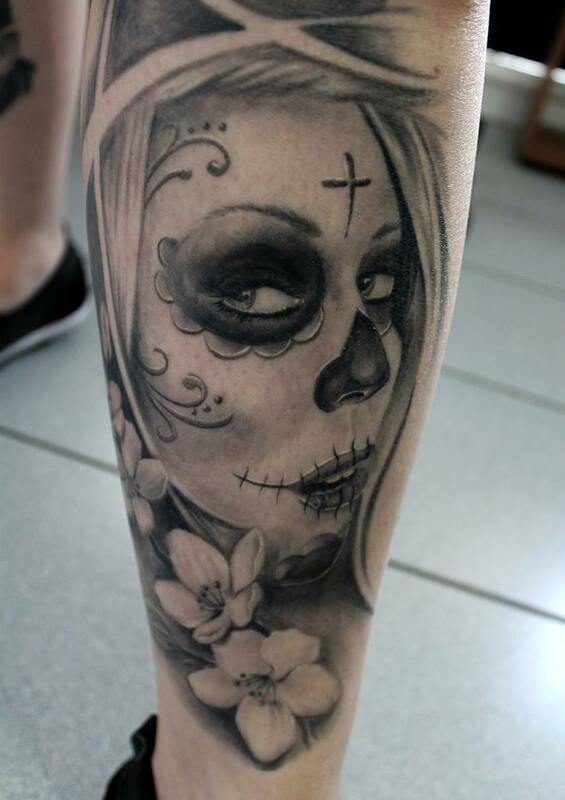 He gained his experience as a professional tattoo artist in Leipzig, Munich, Trier, Burghausen and Waging am See. 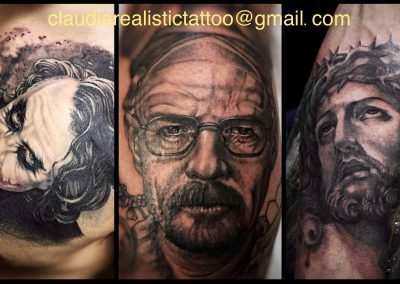 Since the beginning of 2014 he has been back in the studio for one week a month with Andy Engel and enriches the team with his skills. 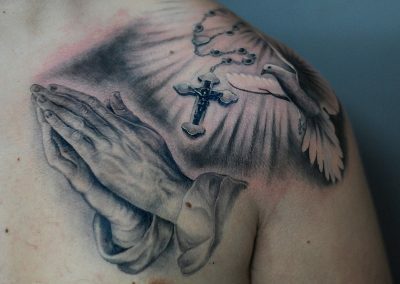 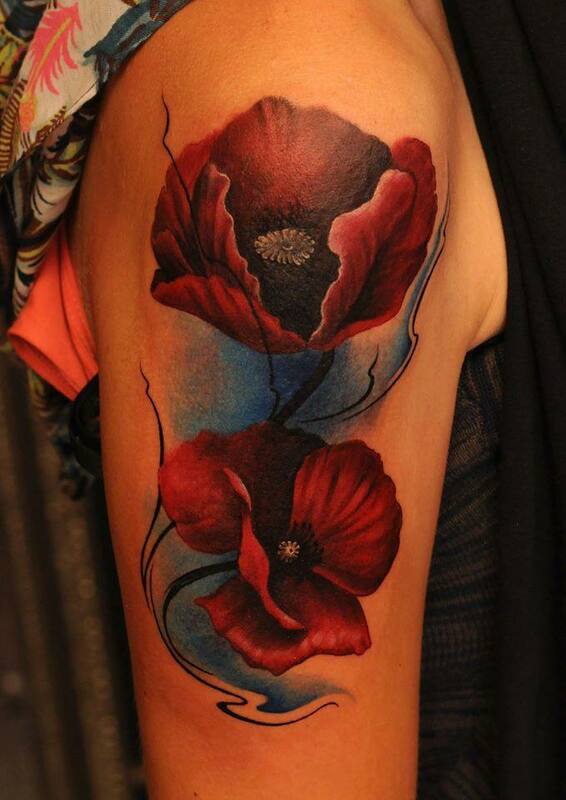 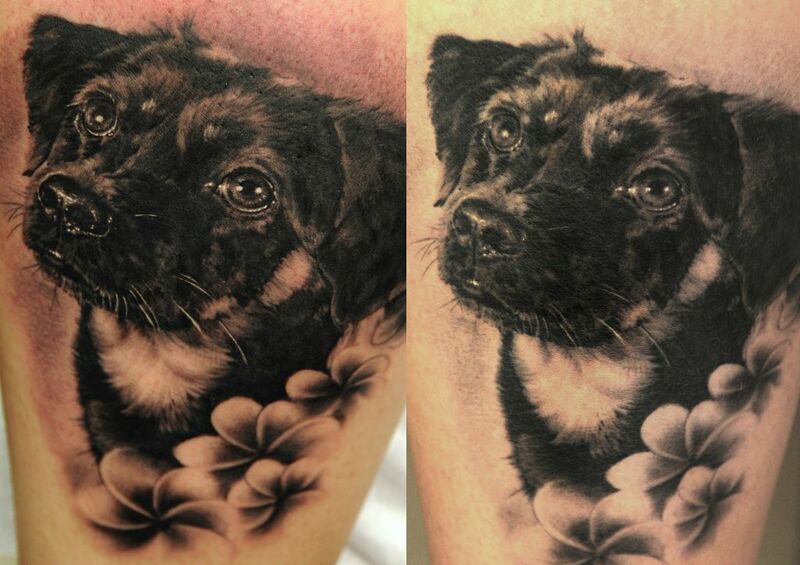 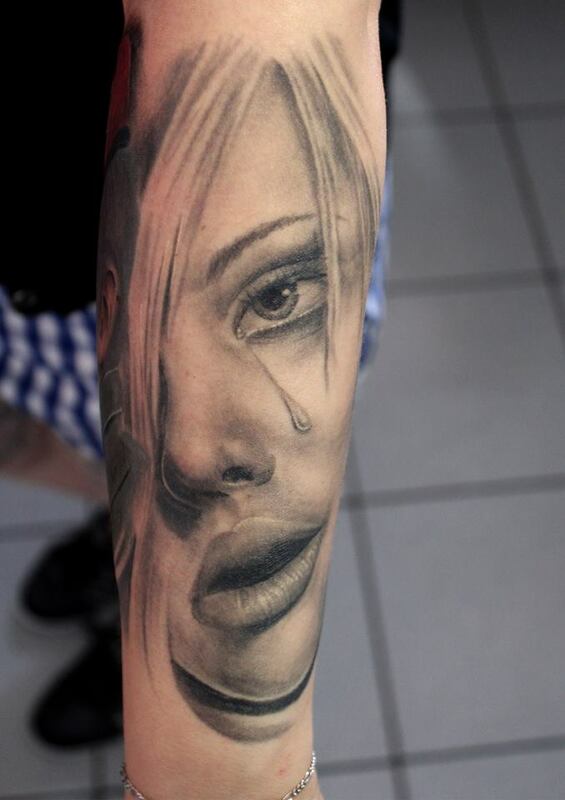 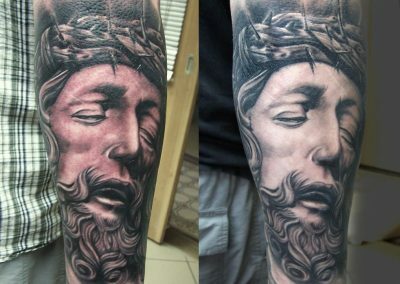 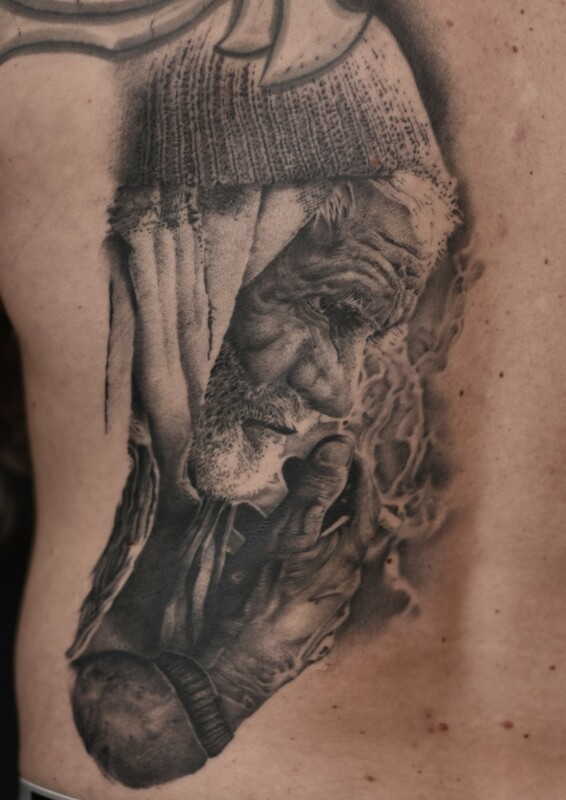 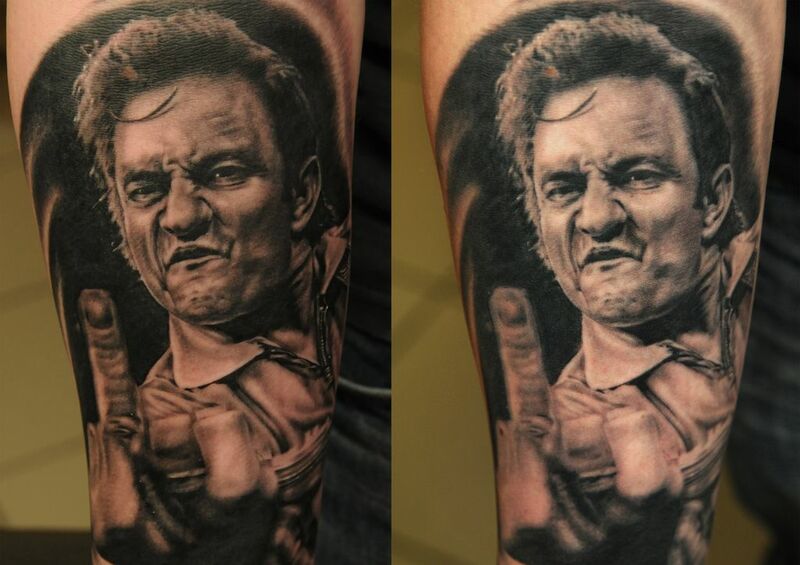 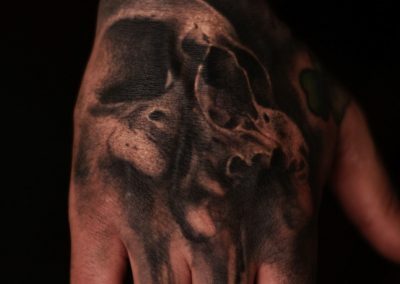 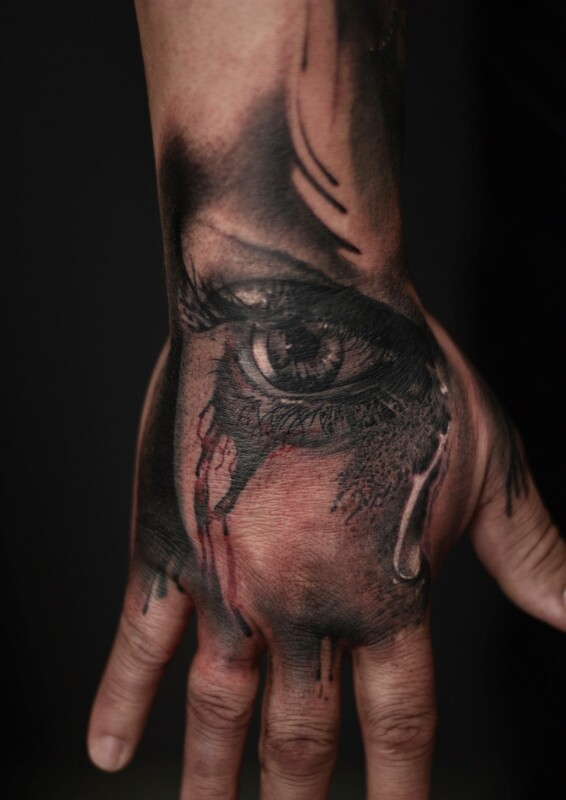 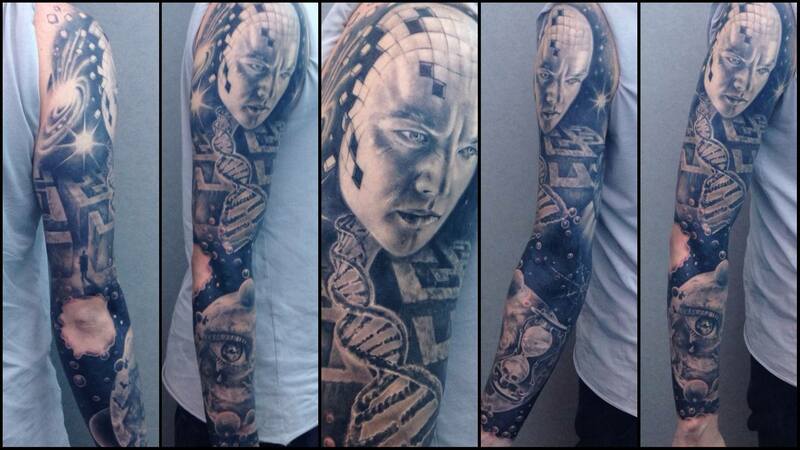 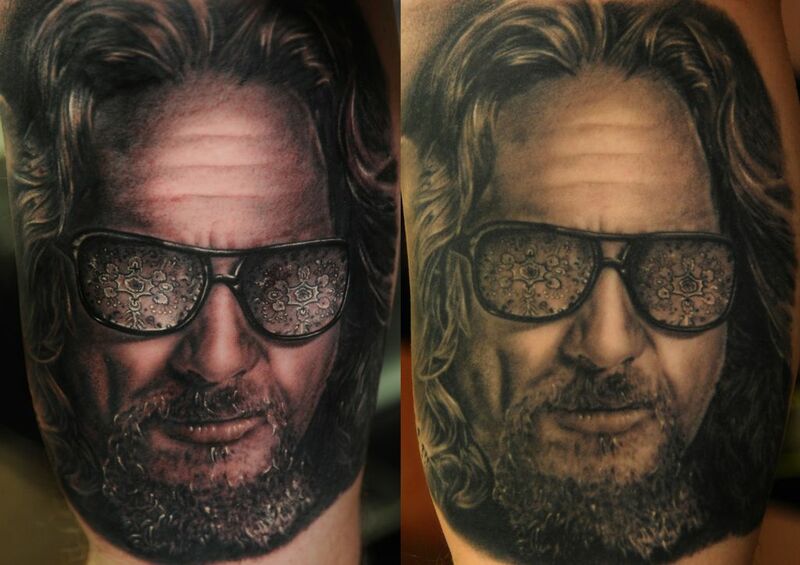 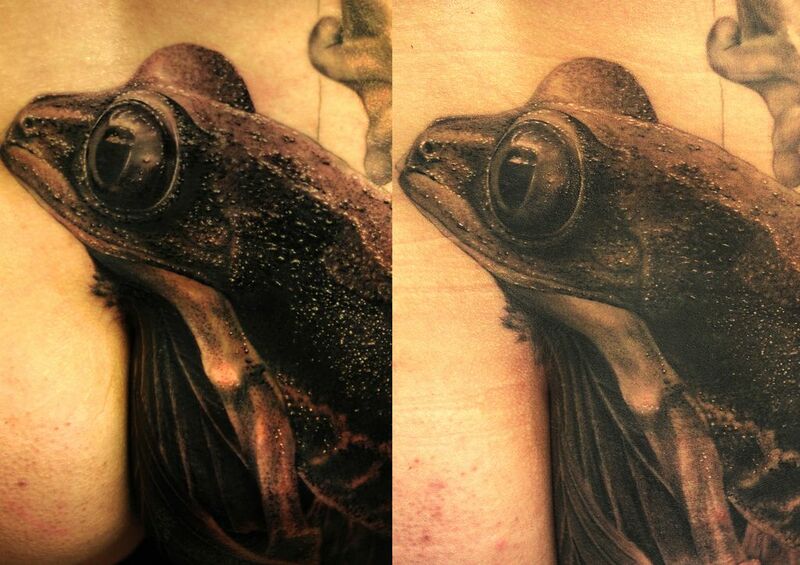 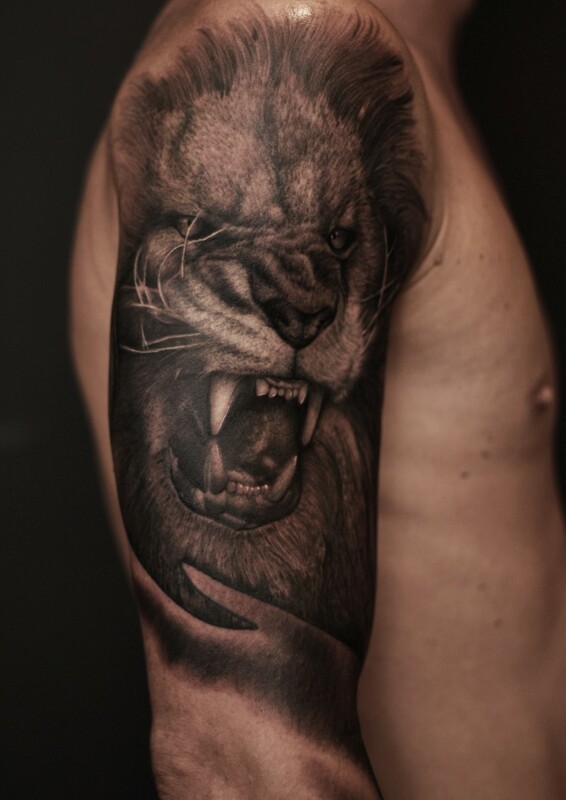 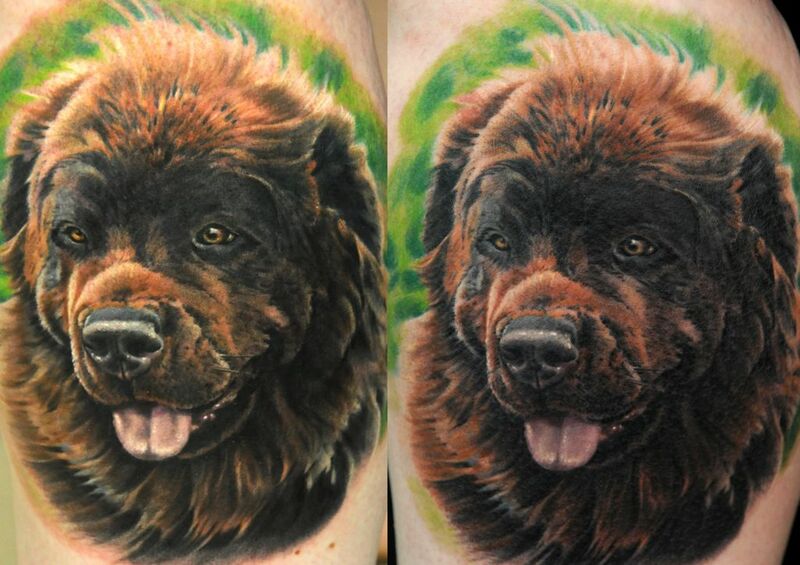 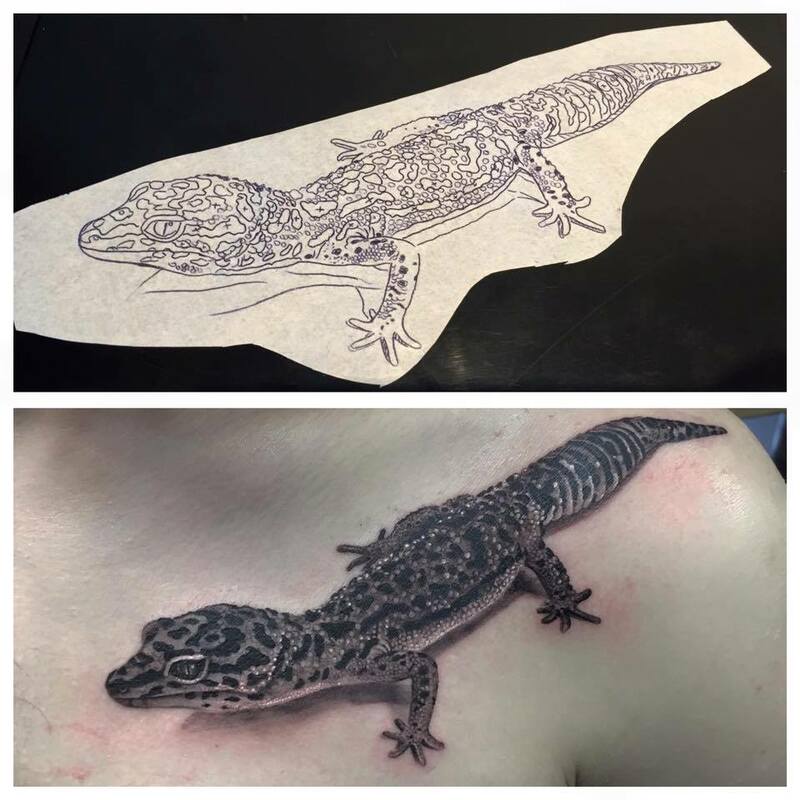 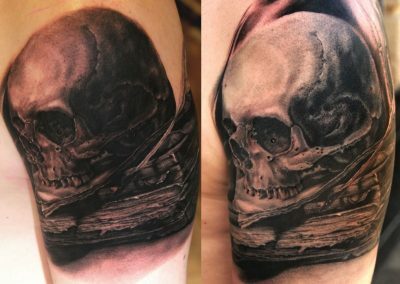 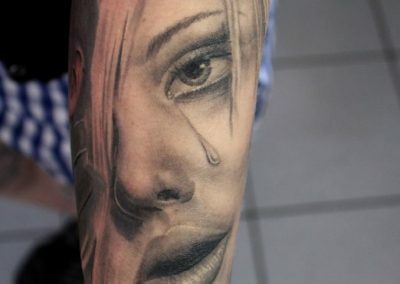 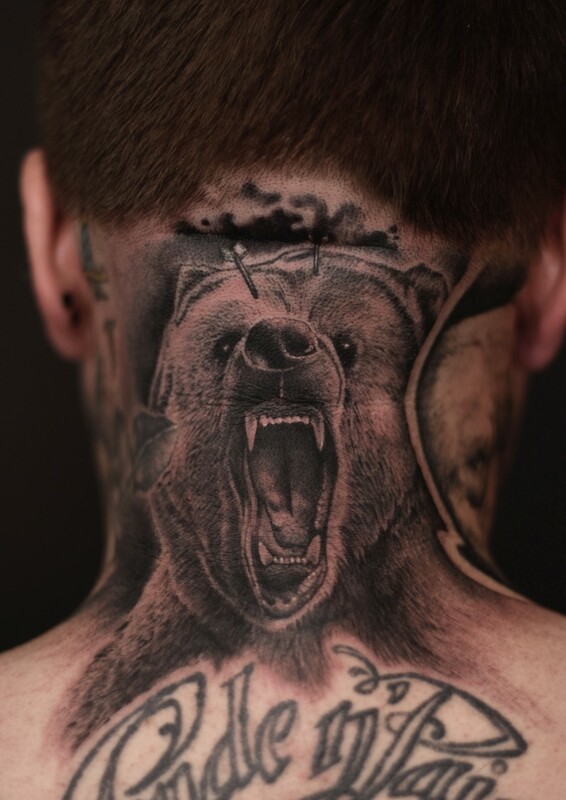 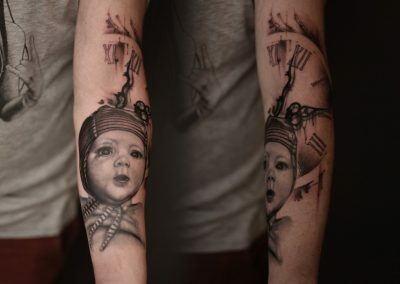 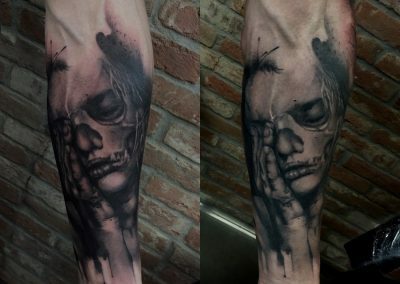 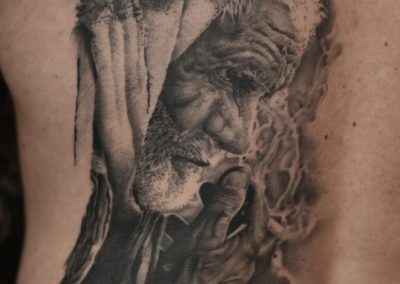 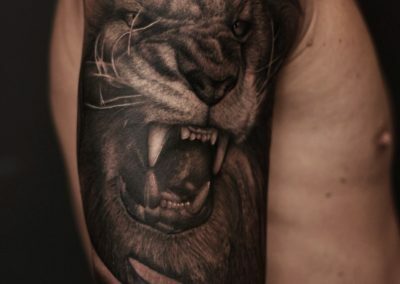 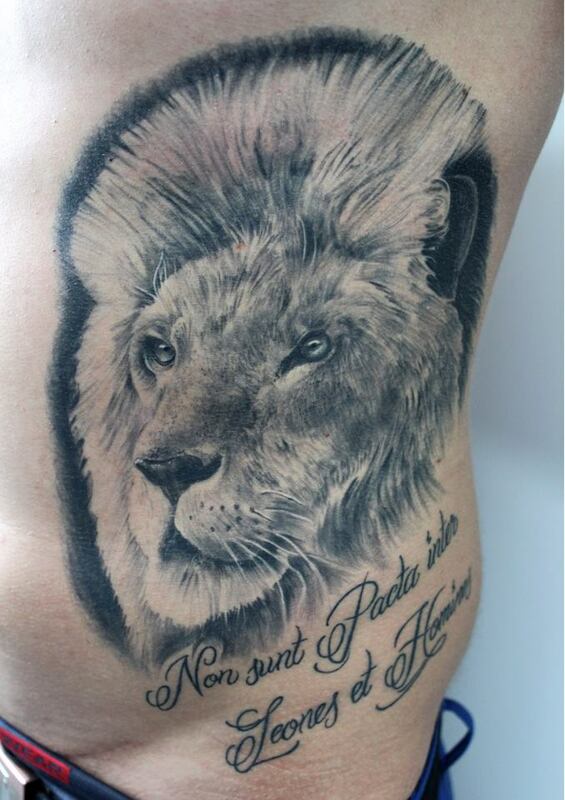 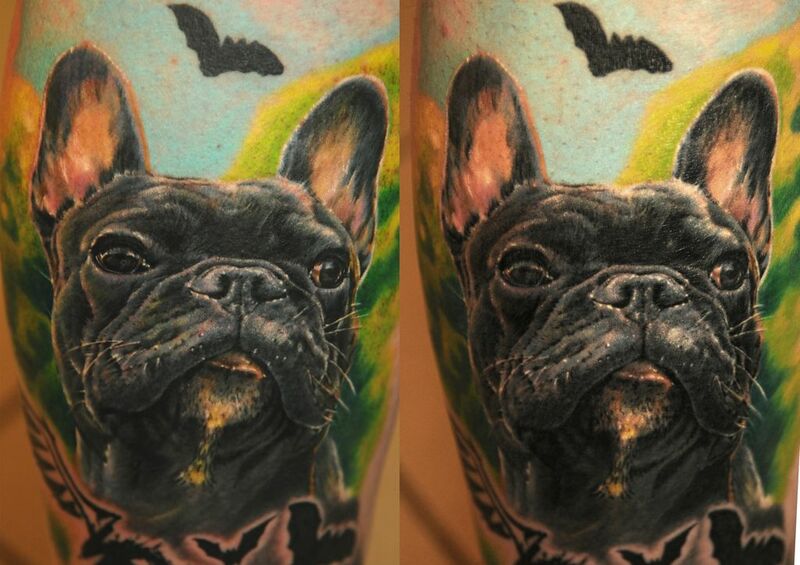 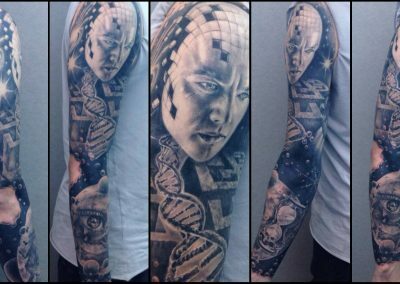 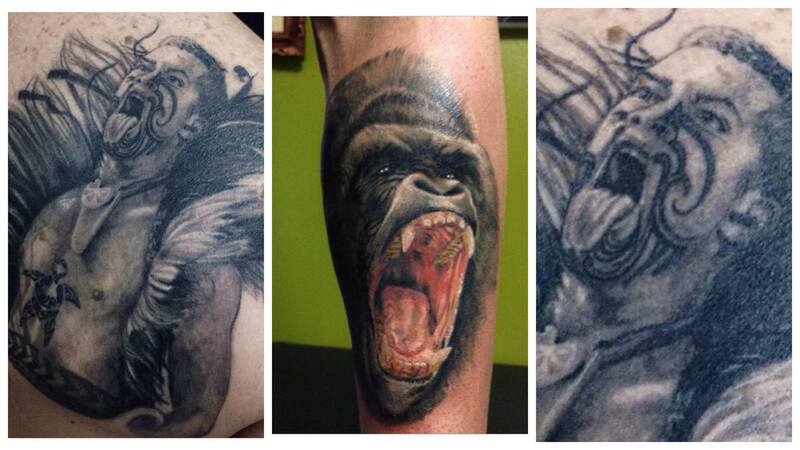 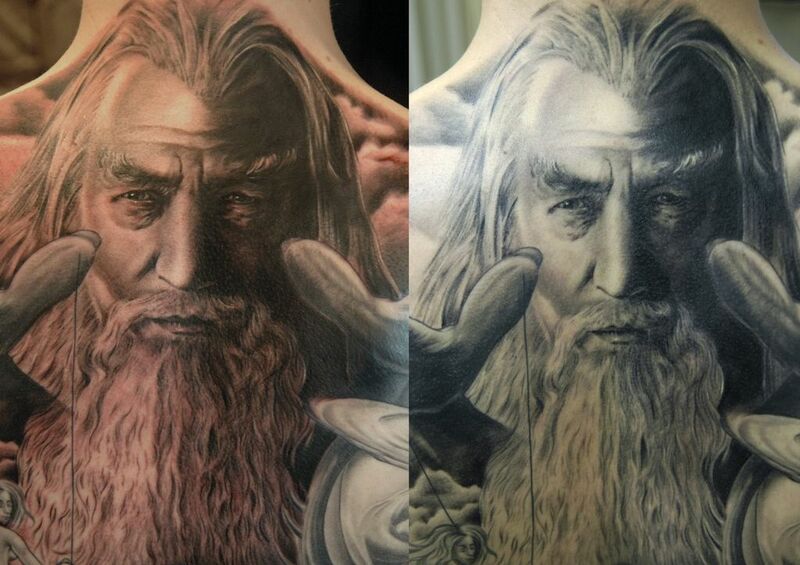 Lajos is an exceptional tattoo artist, very fast, clean, precise and unbeatable with his large-scale freehand motifs. 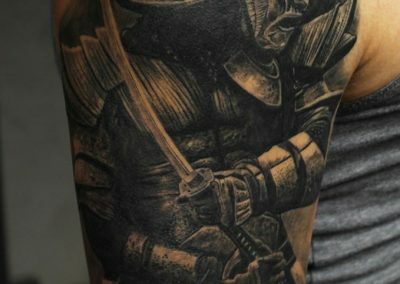 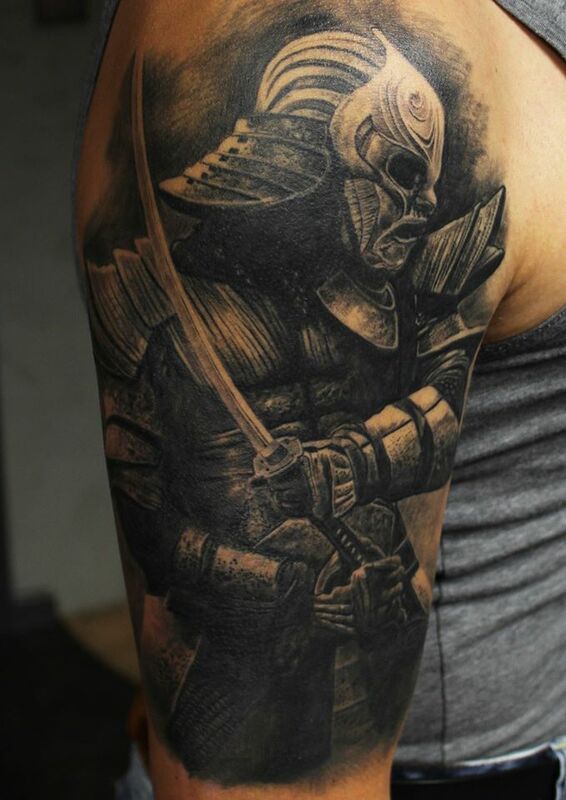 His favorite styles are Realism in Color and Black & Gray, Old School, New School and Asian. 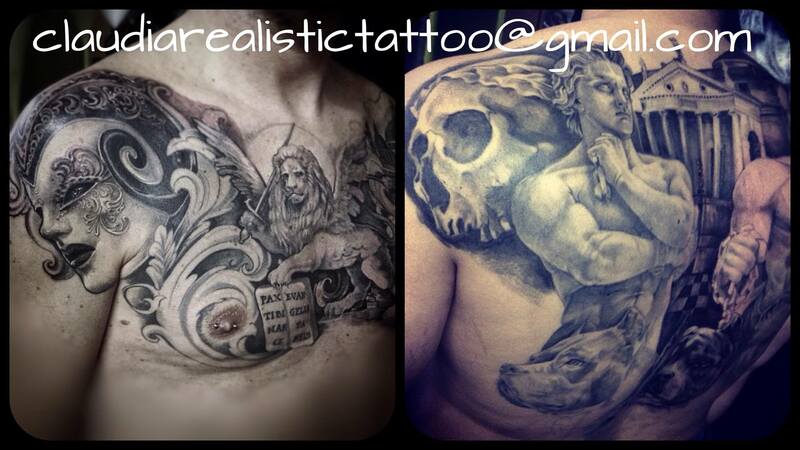 If you want a really fancy, creative tattoo, feel free to contact the studio and make an appointment with Lajos. 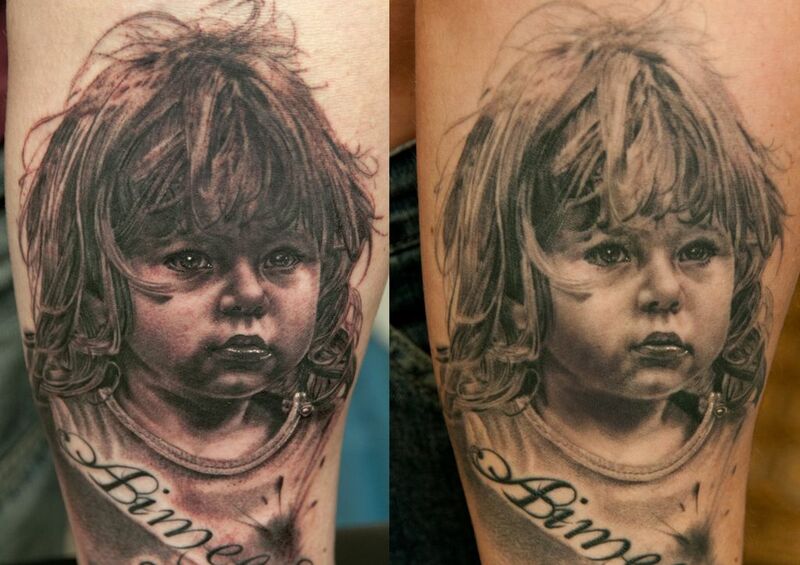 Pippi: Even at a young age Pippi developed a great interest in the fascination of tattoo. 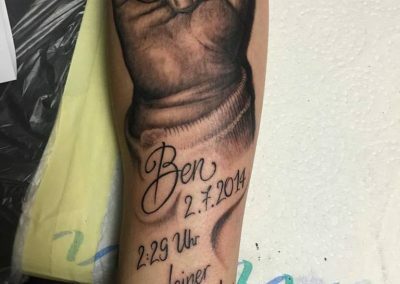 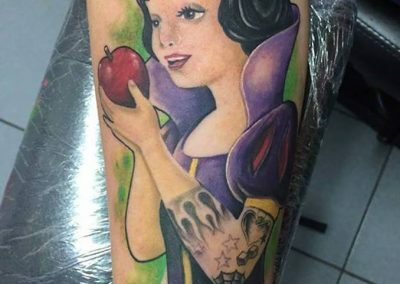 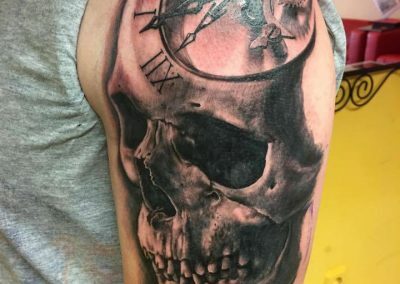 After a serious accident at work as a carpenter, he broke new ground professionally and became a tattoo artist. 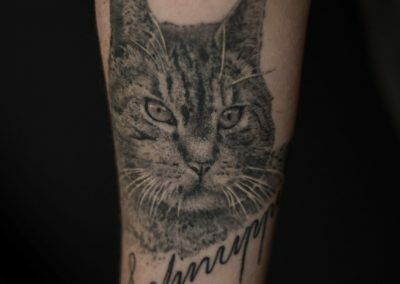 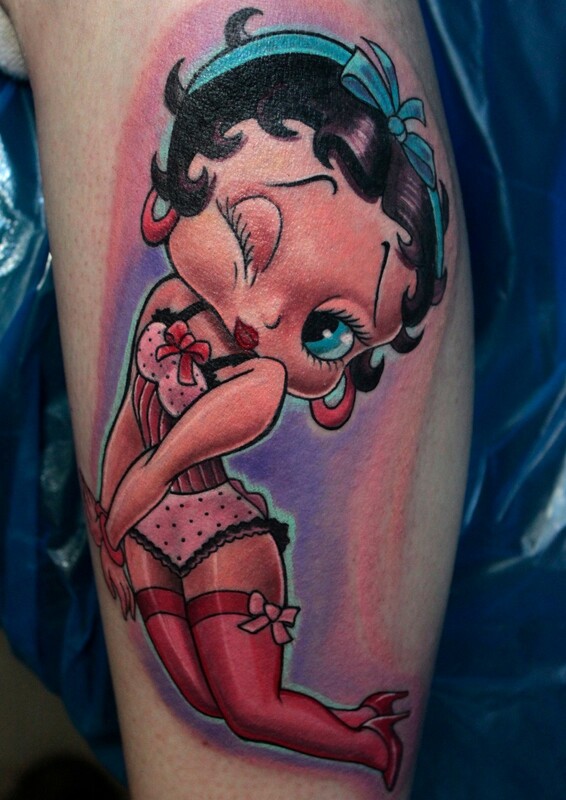 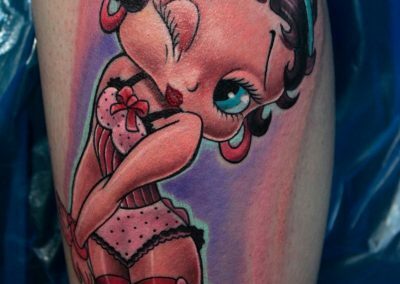 Pippi learned to teach tattooing autodidactically, but refined his style through exchanges with colleagues, including Andy Engel. 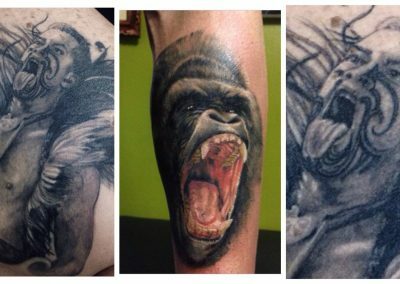 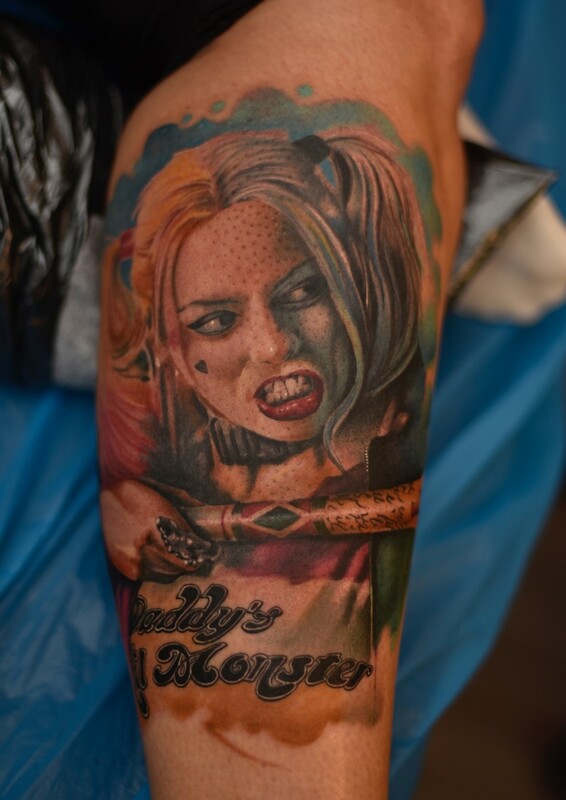 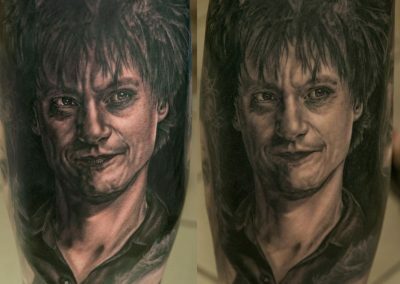 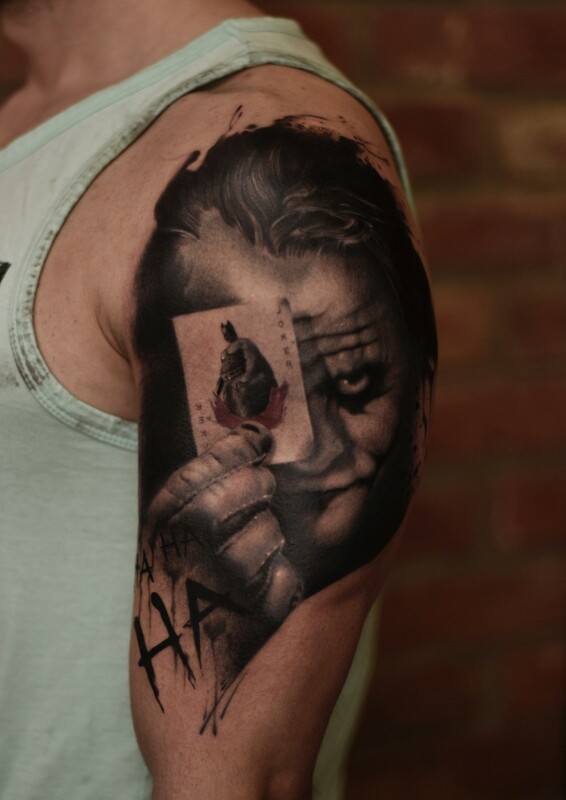 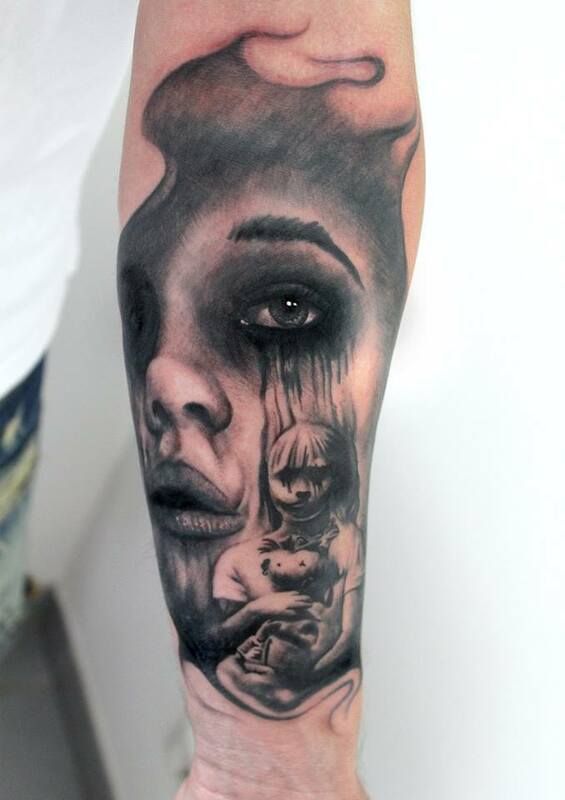 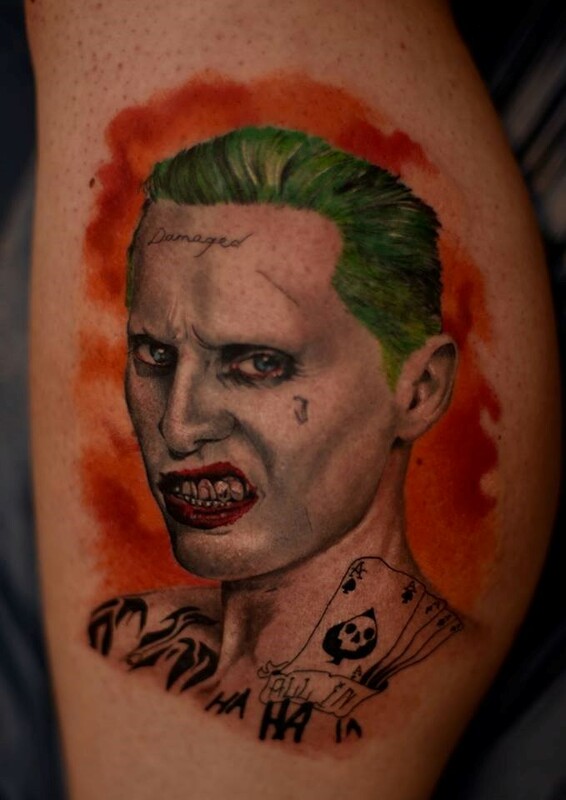 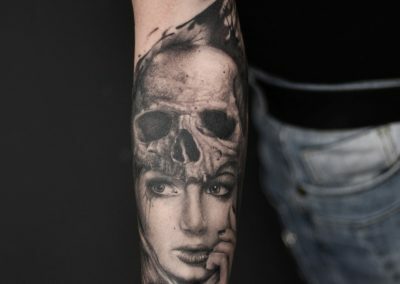 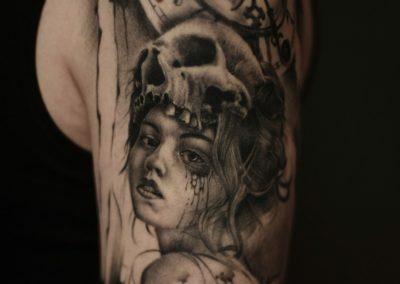 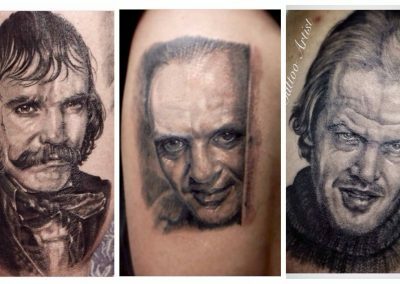 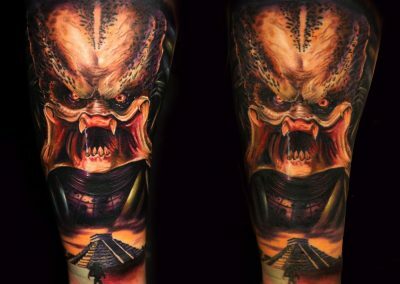 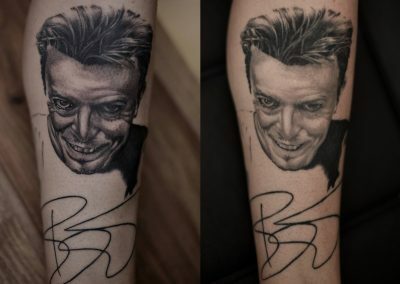 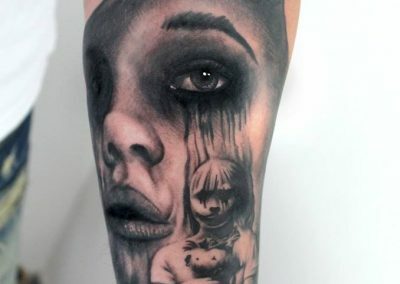 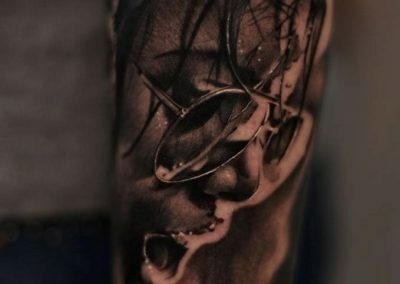 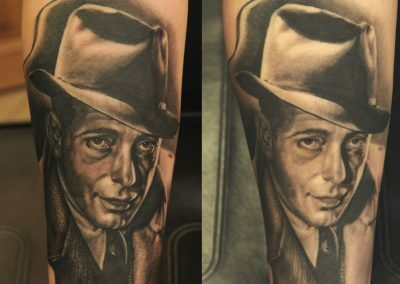 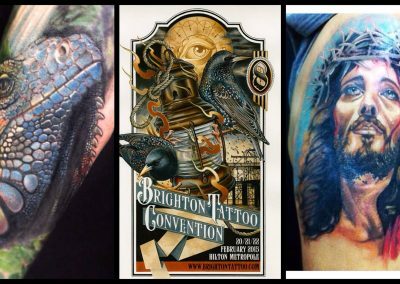 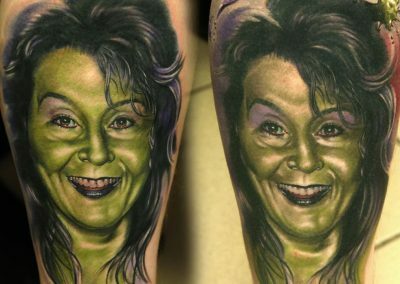 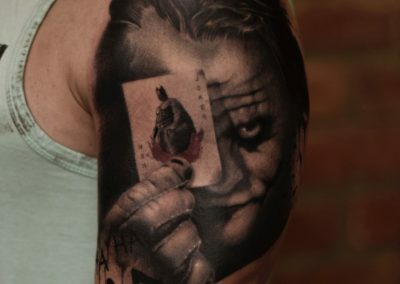 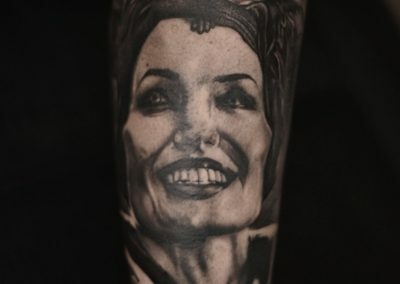 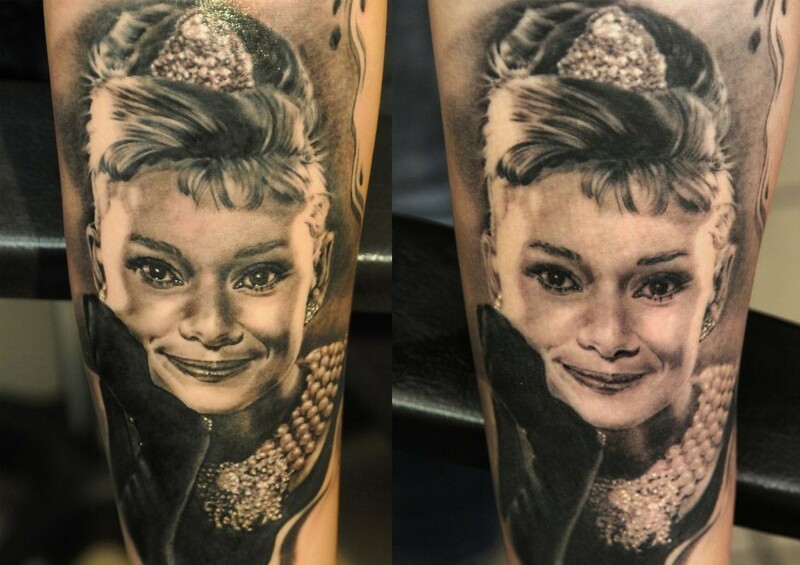 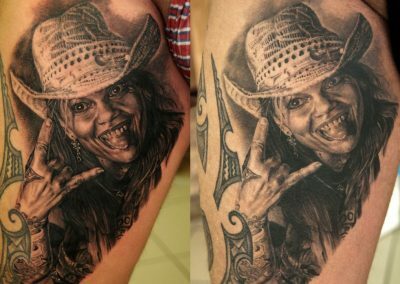 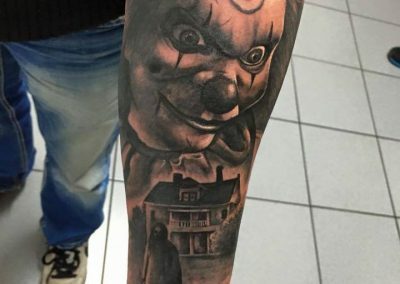 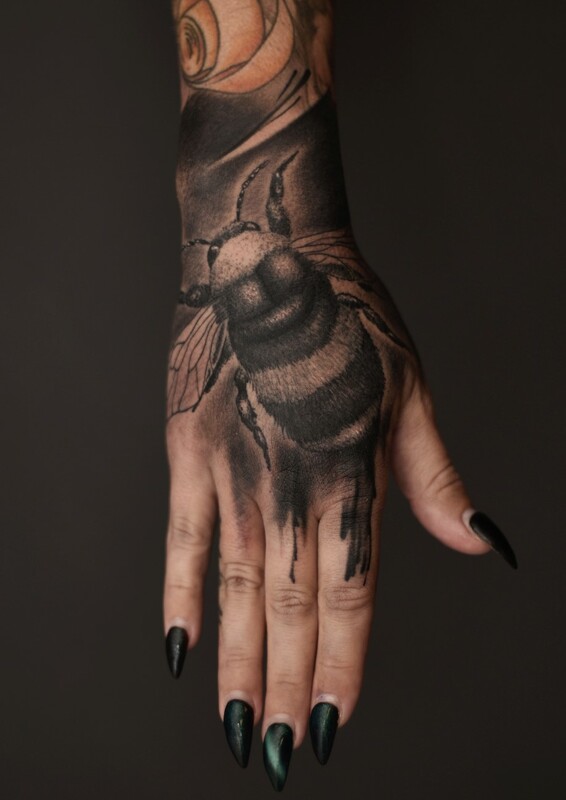 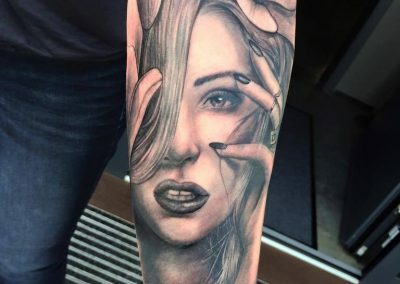 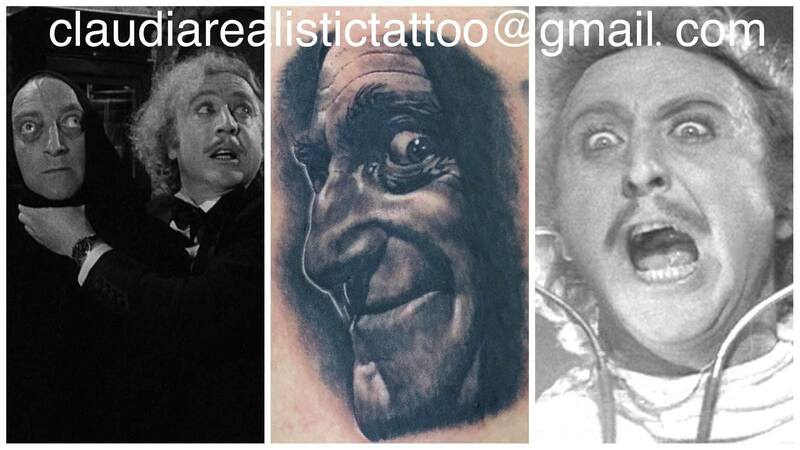 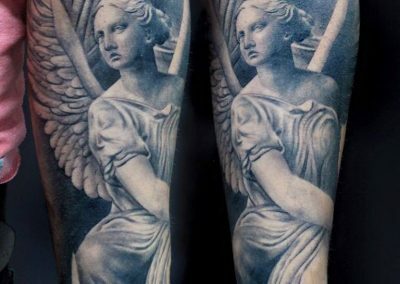 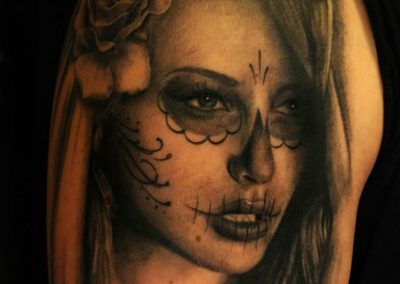 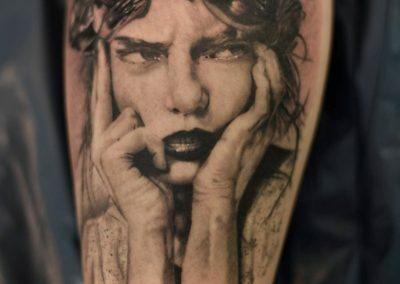 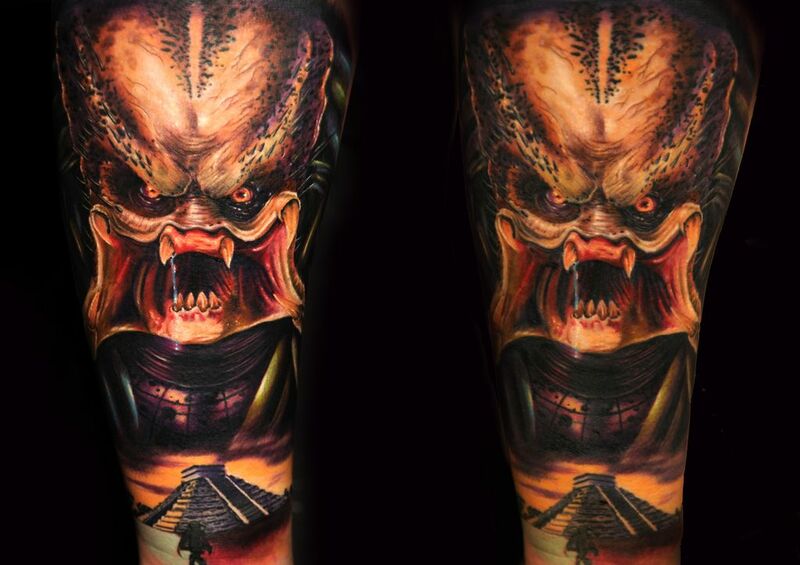 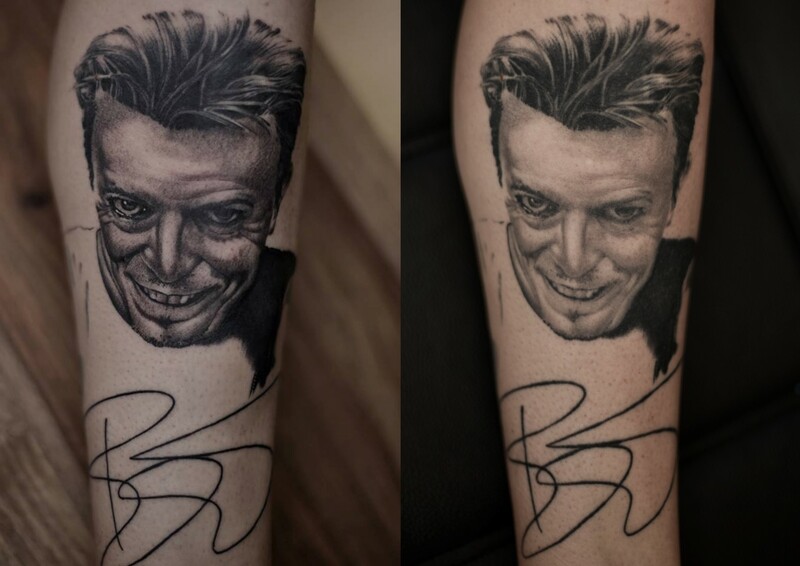 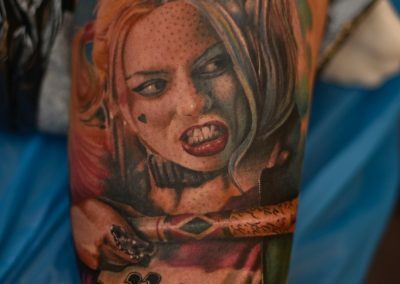 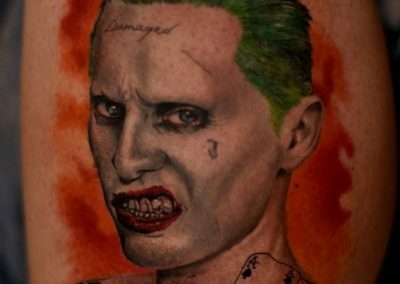 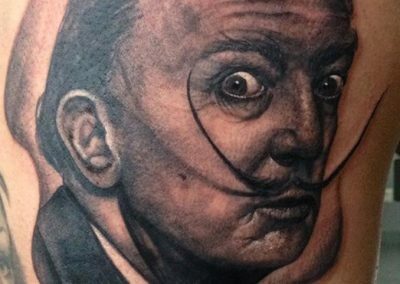 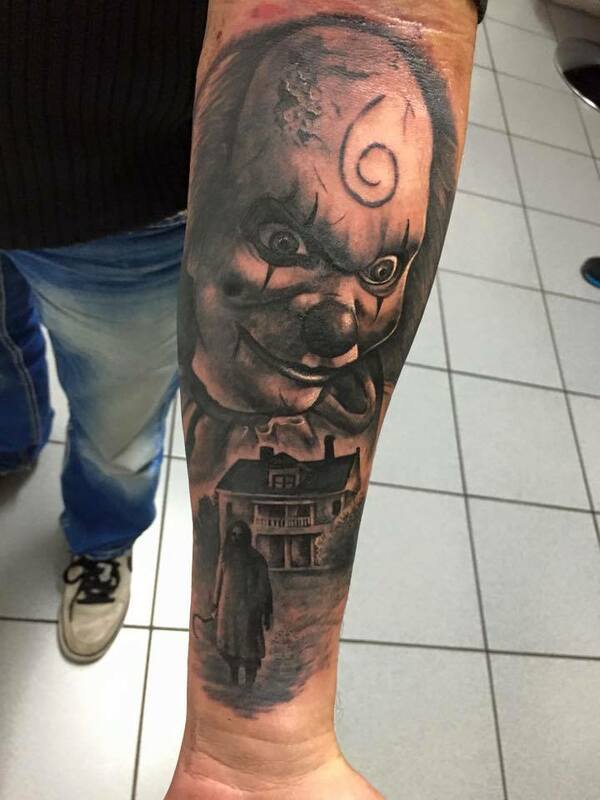 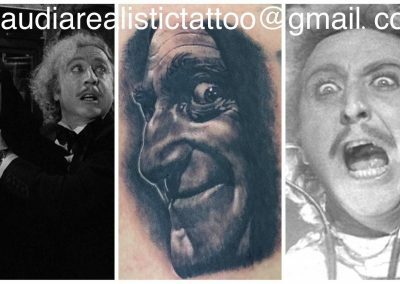 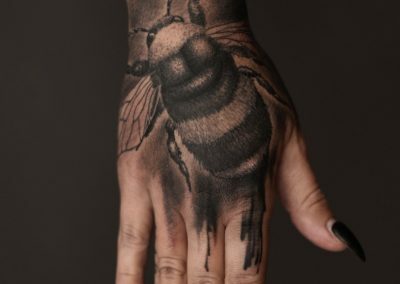 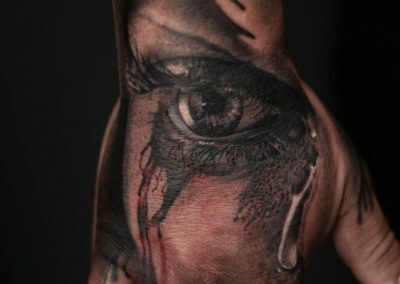 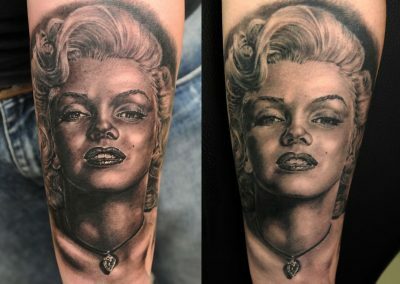 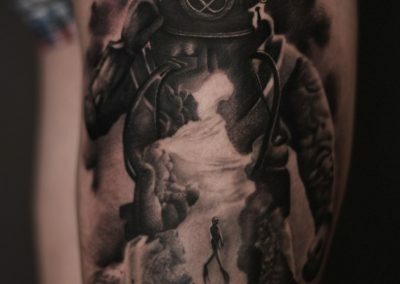 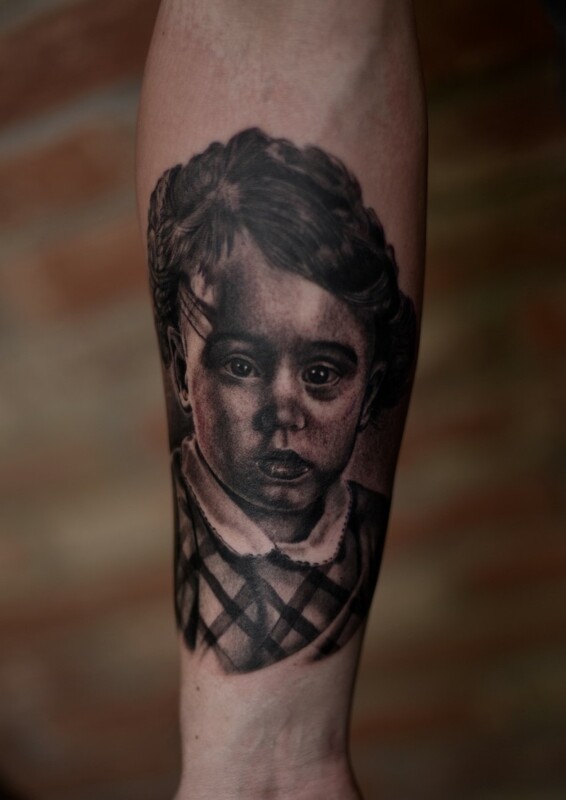 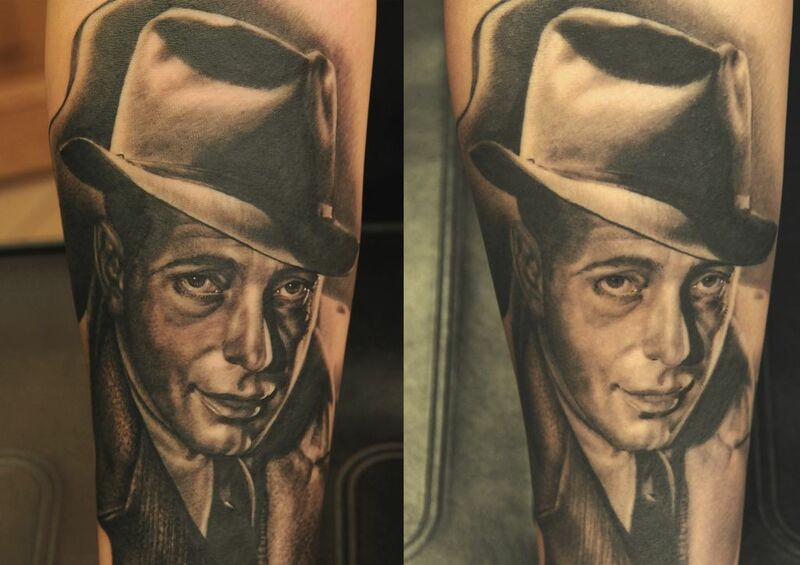 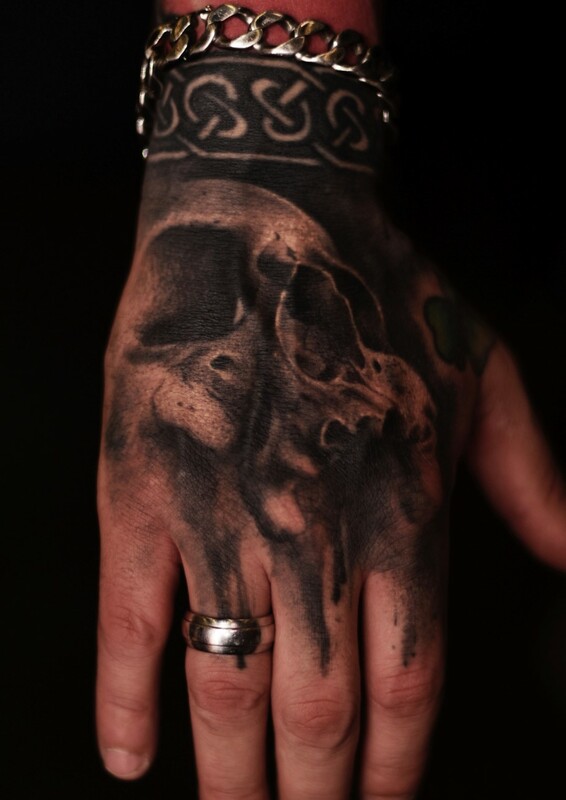 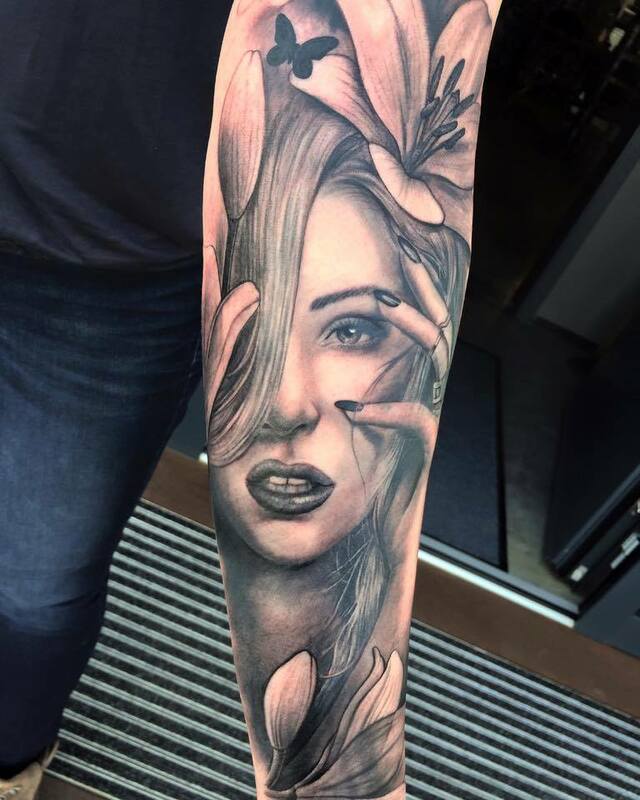 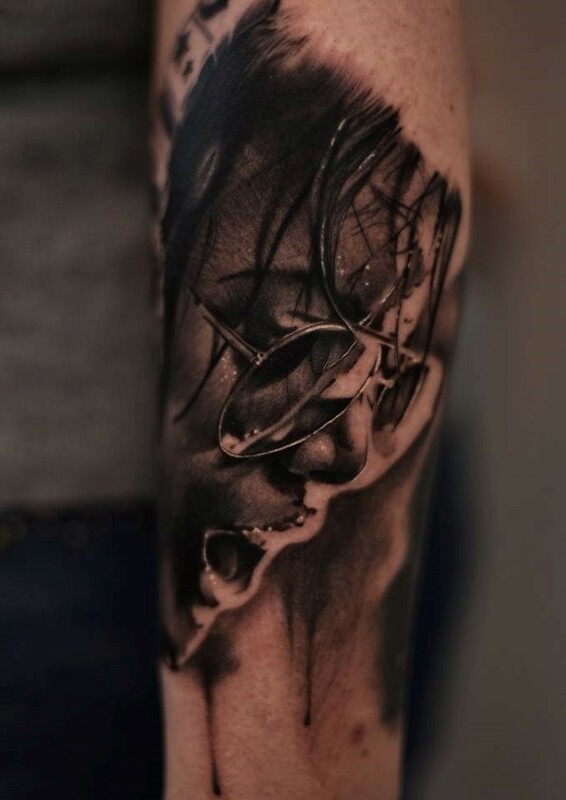 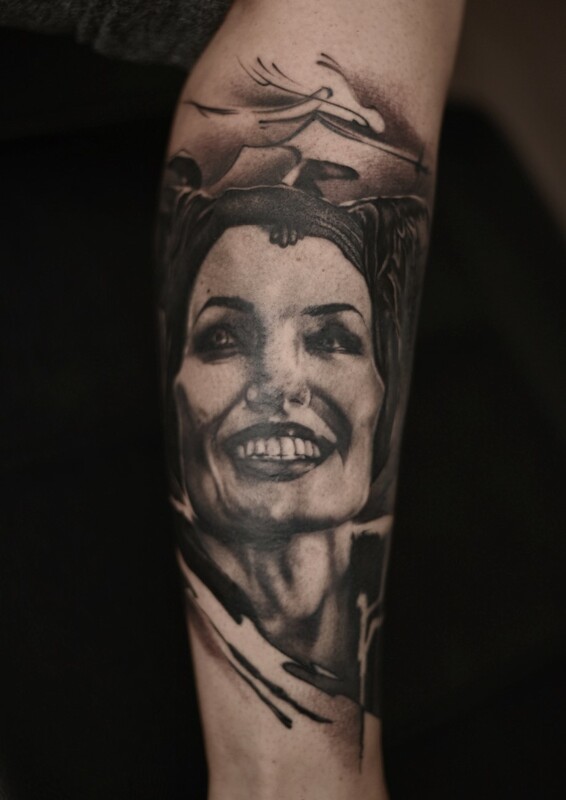 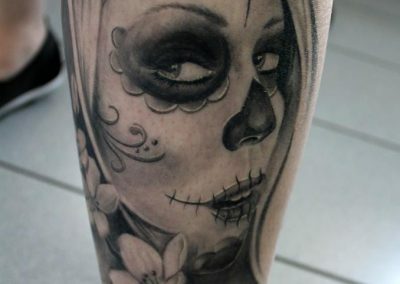 He has specialized mainly in realistic art, especially with images from the horror and film, he was able to quickly establish and make a name for himself at numerous international tattoo conventions.